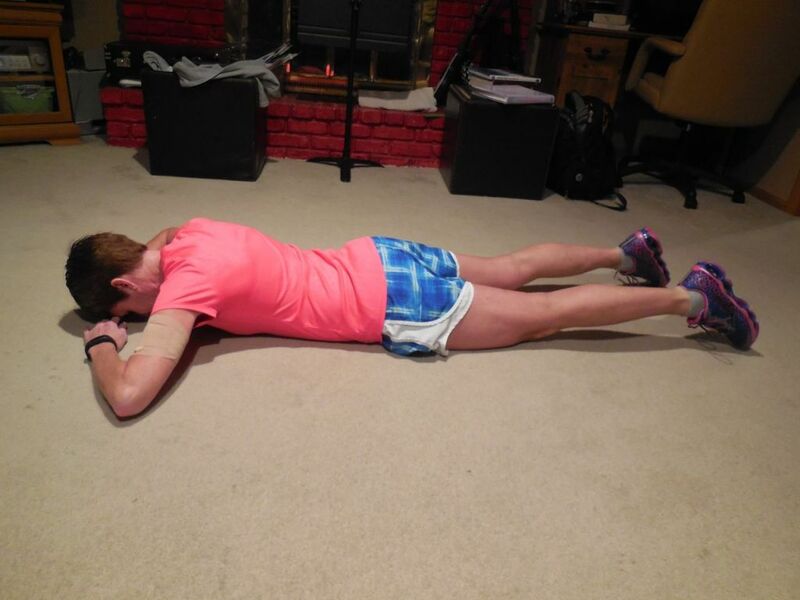 This week was all about really pushing my legs past the point of being tired and then running just a little bit more and I’m happy to say I achieved that by Friday’s run!!! 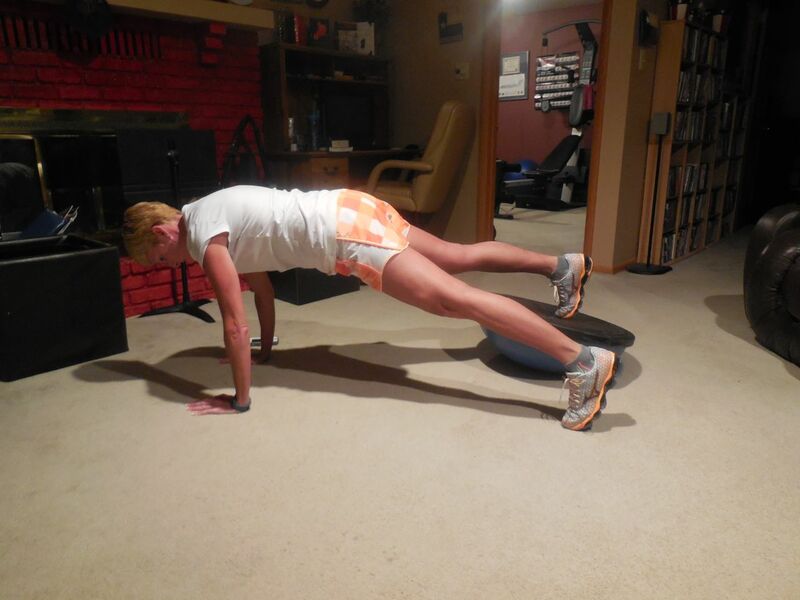 Don’t mind the fact that I look crooked in the picture above – it’s hard staying on the ball!! 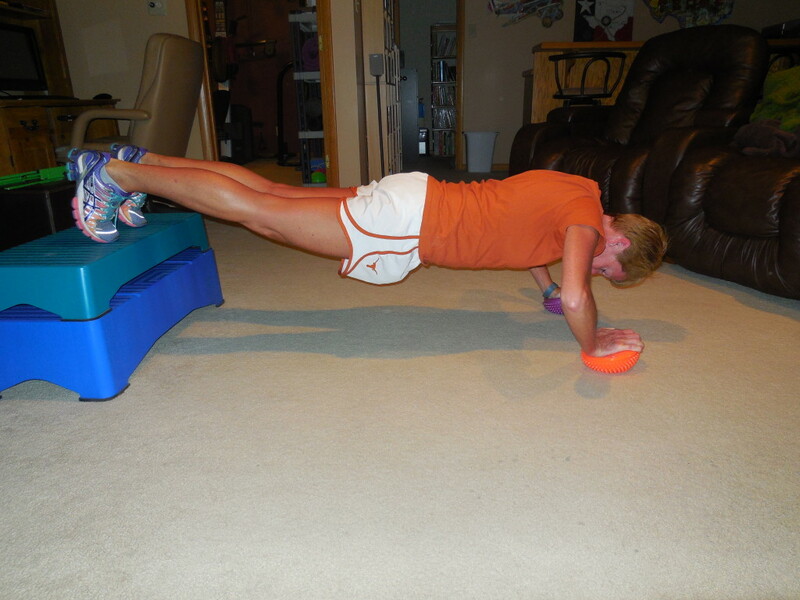 This move was sort of fun – I liked the slow moving holds and squeezes!! 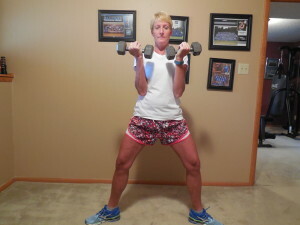 I’m not really a fan of how large my backside looks in the pictures though – oops!! 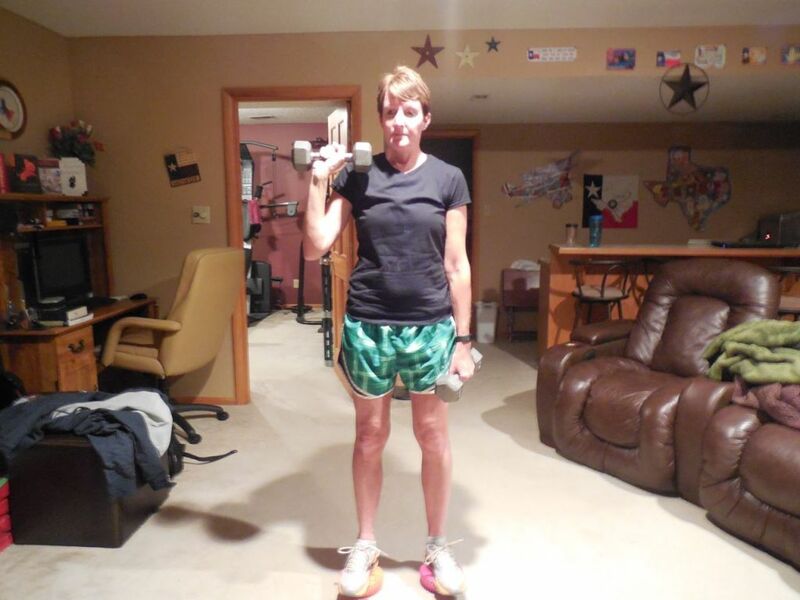 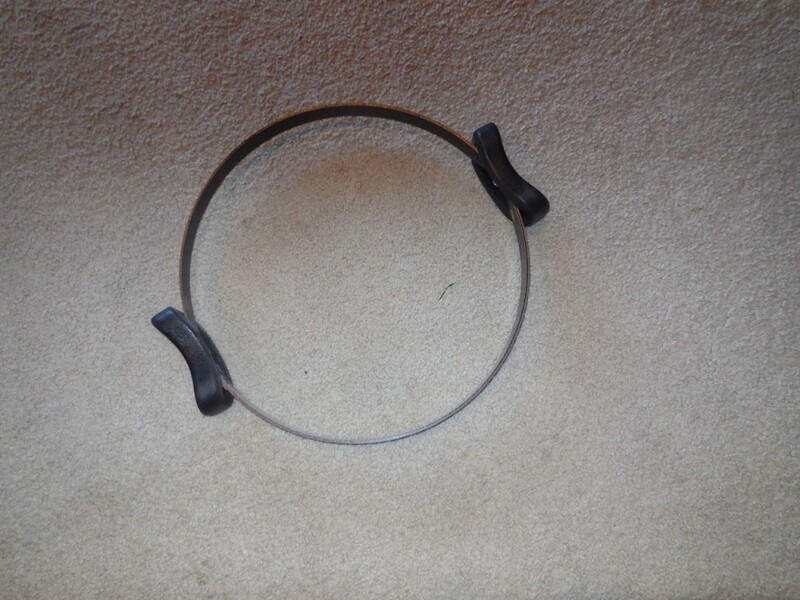 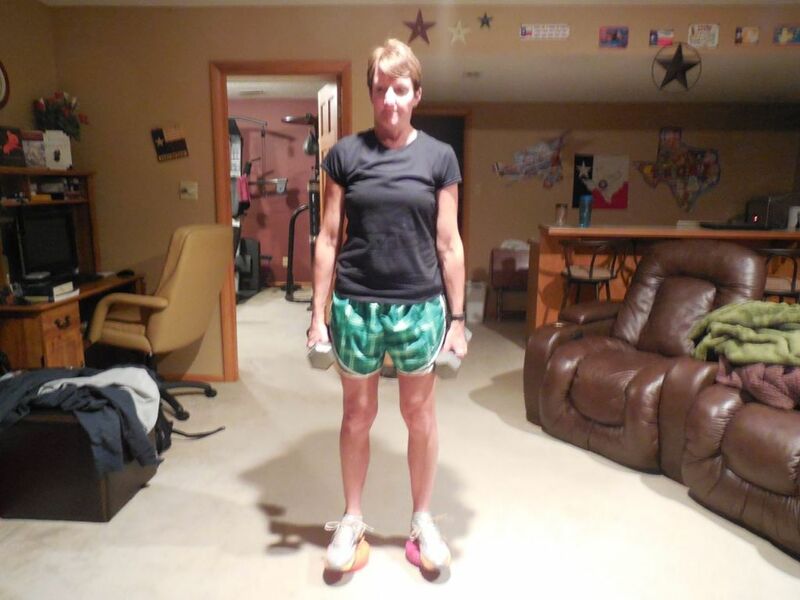 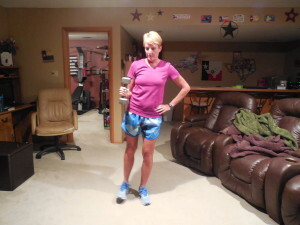 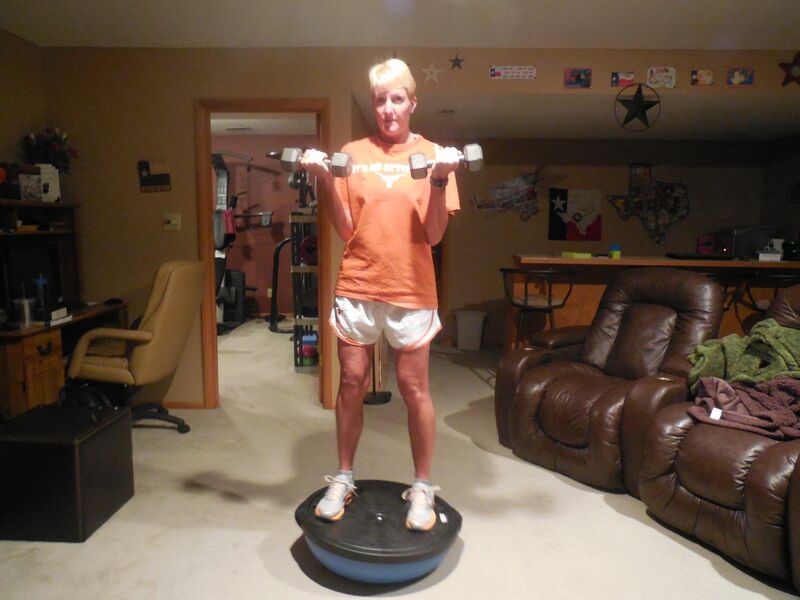 The act of staying balanced on the BOSU made these curls much harder than a standard curl – super fun!! 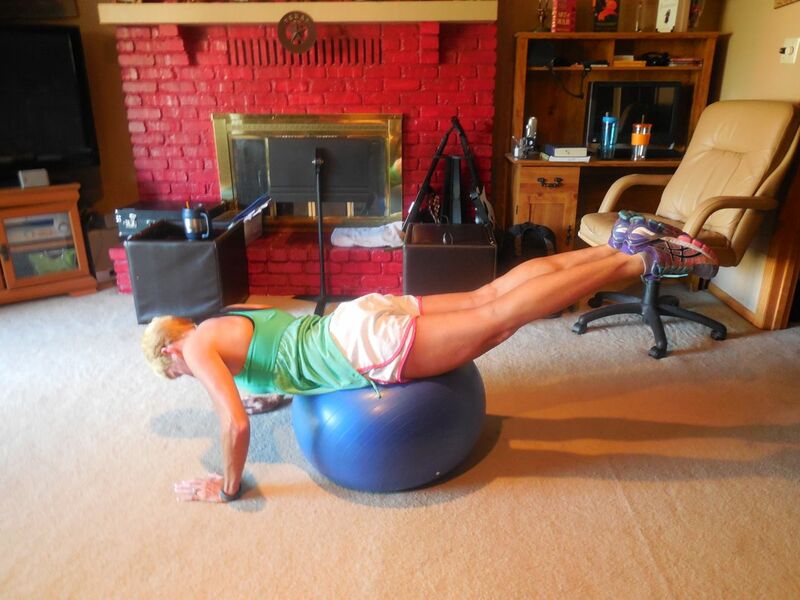 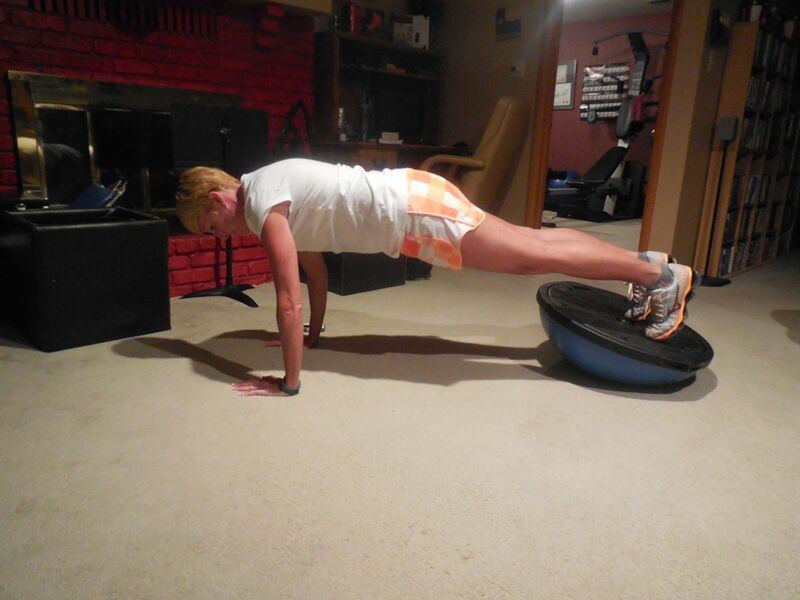 Tuesday 8/26 – 44 plank with feet on upside down BOSU – alternate toe taps to the sides (right/left tap = 1 rep). 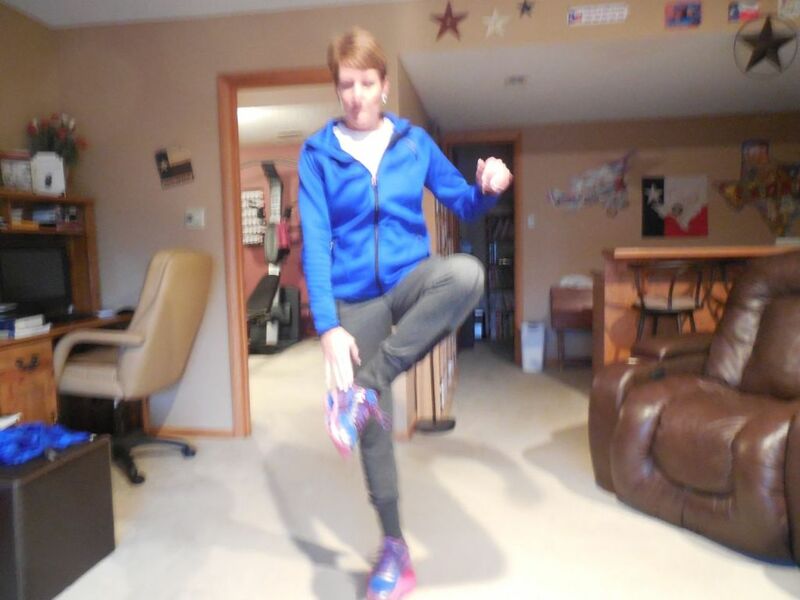 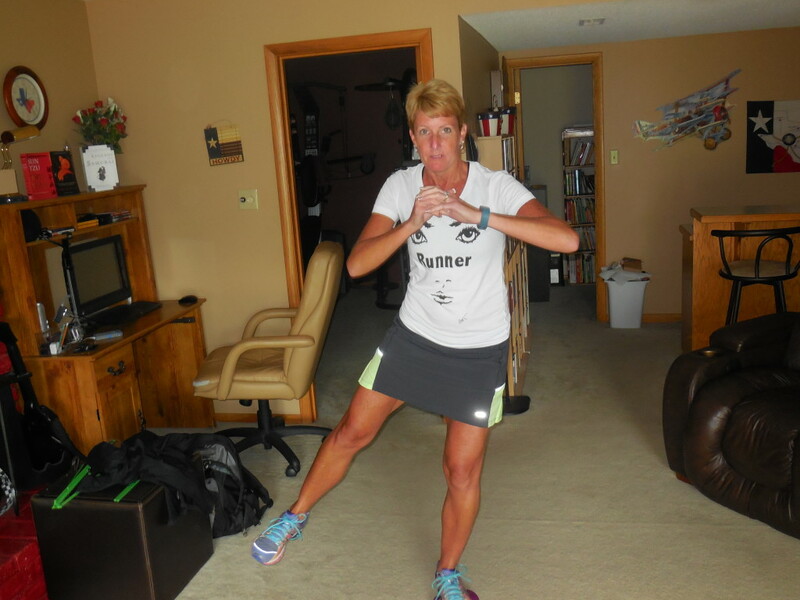 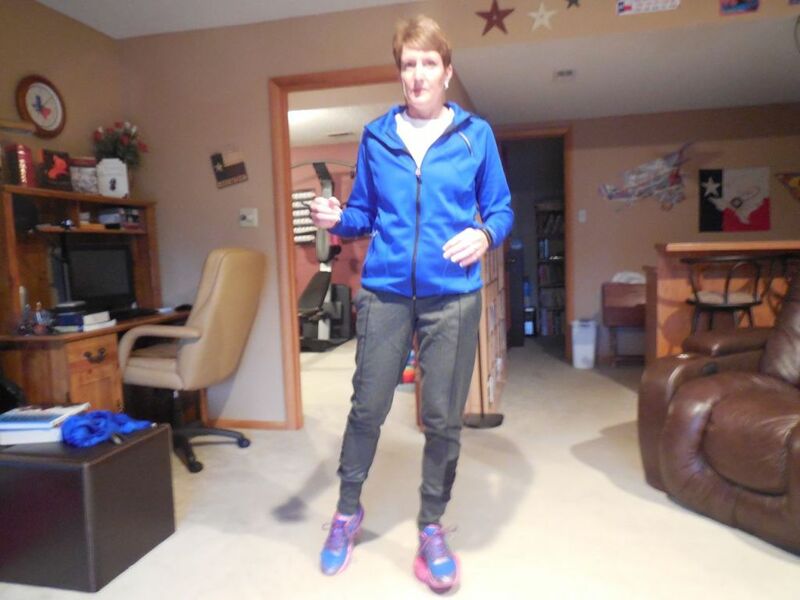 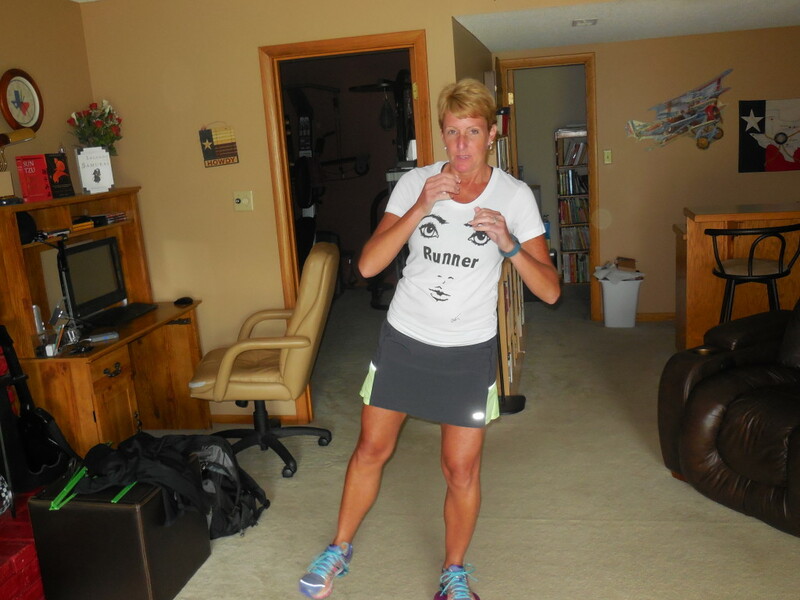 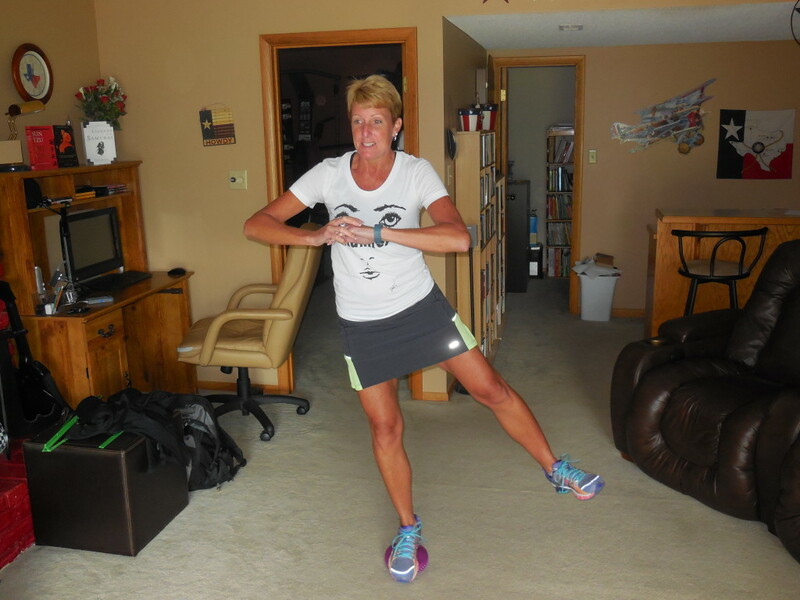 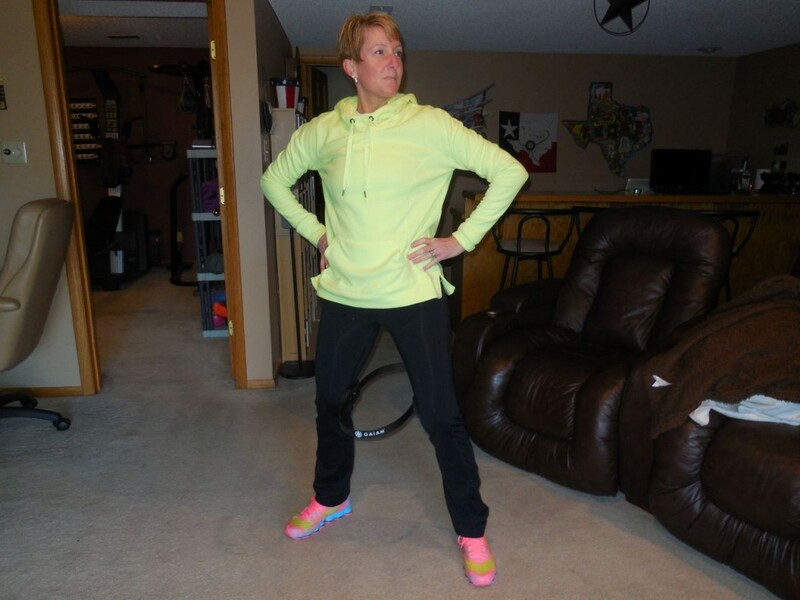 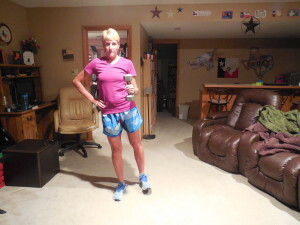 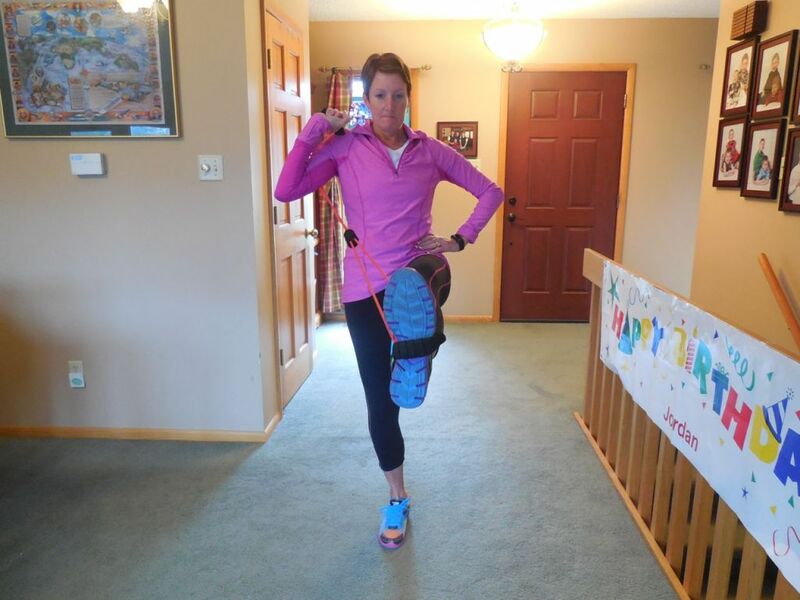 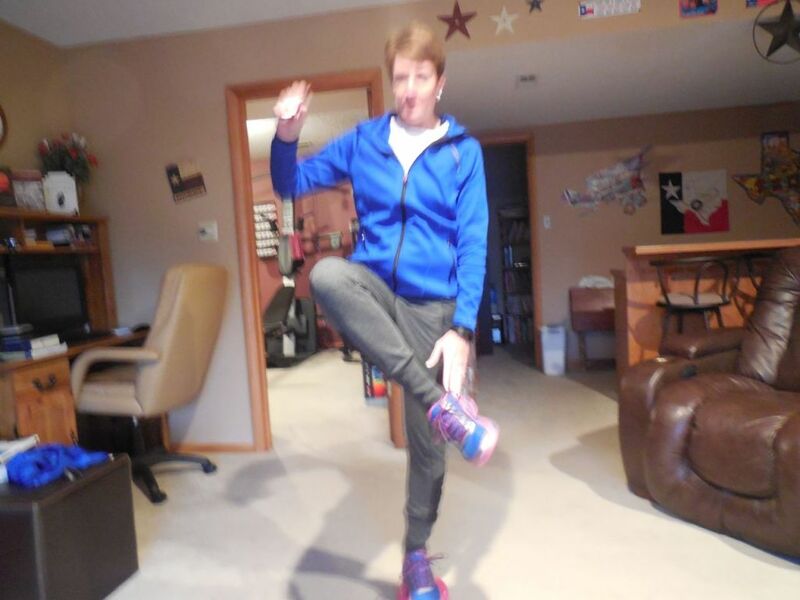 Not sure why it looks like my arms are bowed or too close in – hmmm…..
After taking Hunter to school I changed into dry clothes (I sweat a LOT when I run) and ran some more! 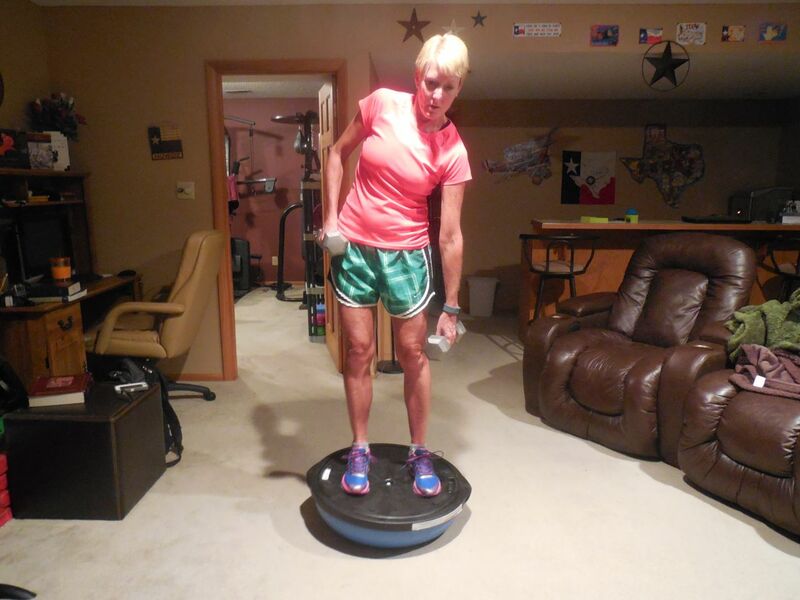 Wednesday 8/27 – 44 alternating side bends while standing on an upside down BOSU (12 pound DBs). 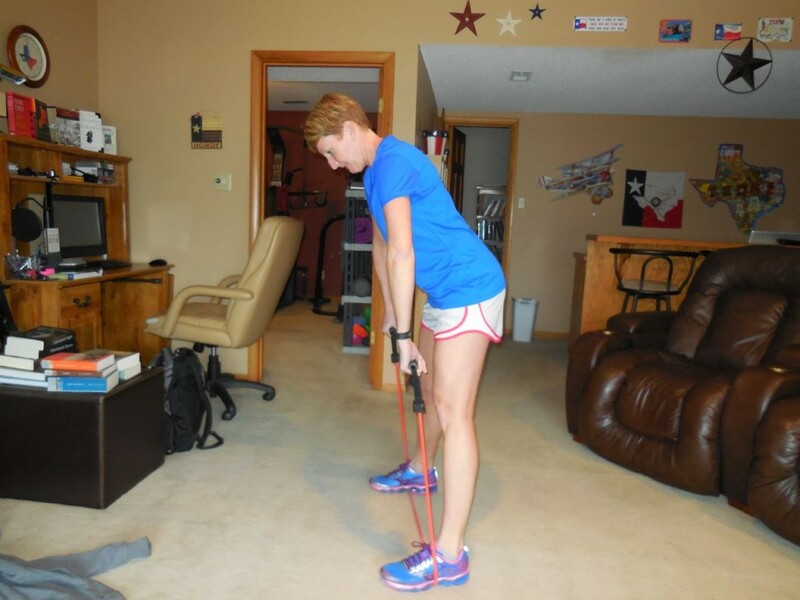 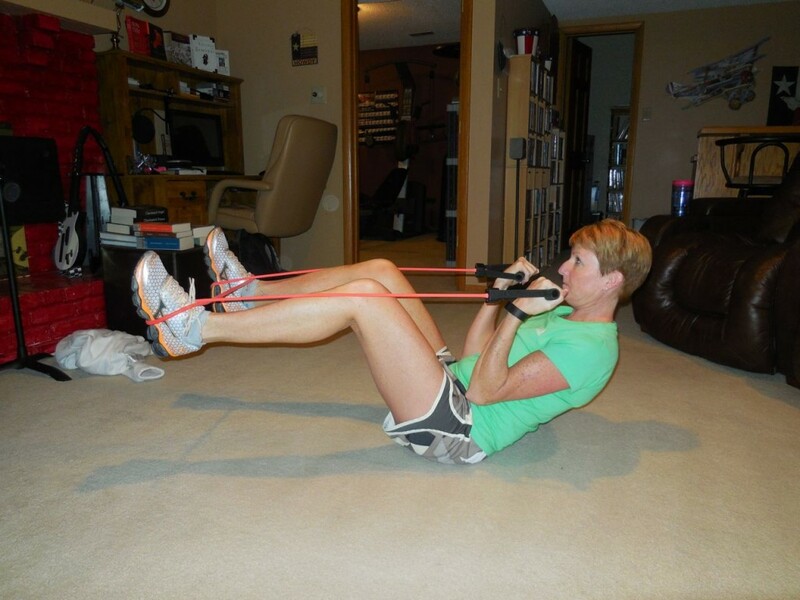 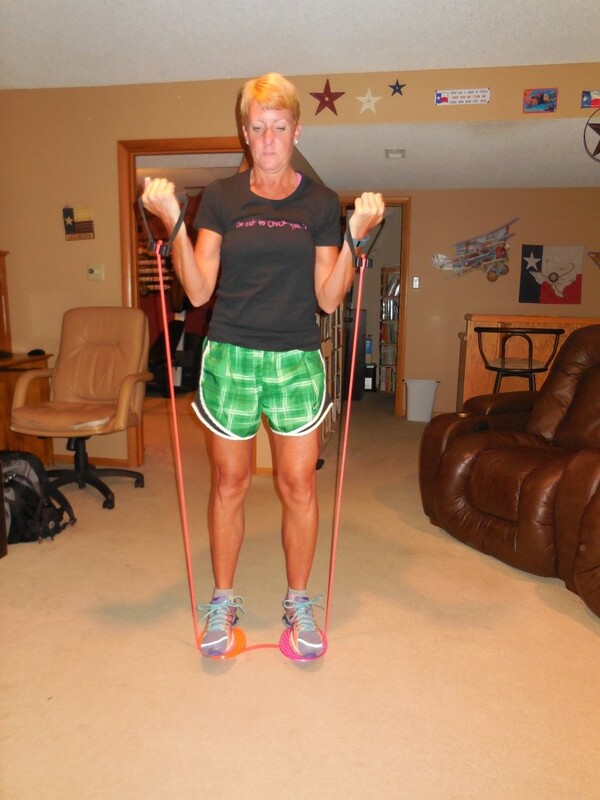 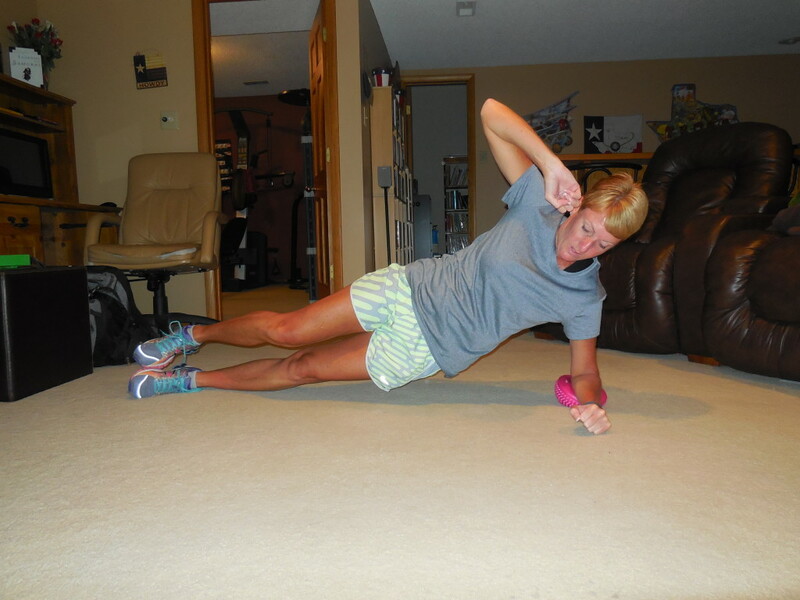 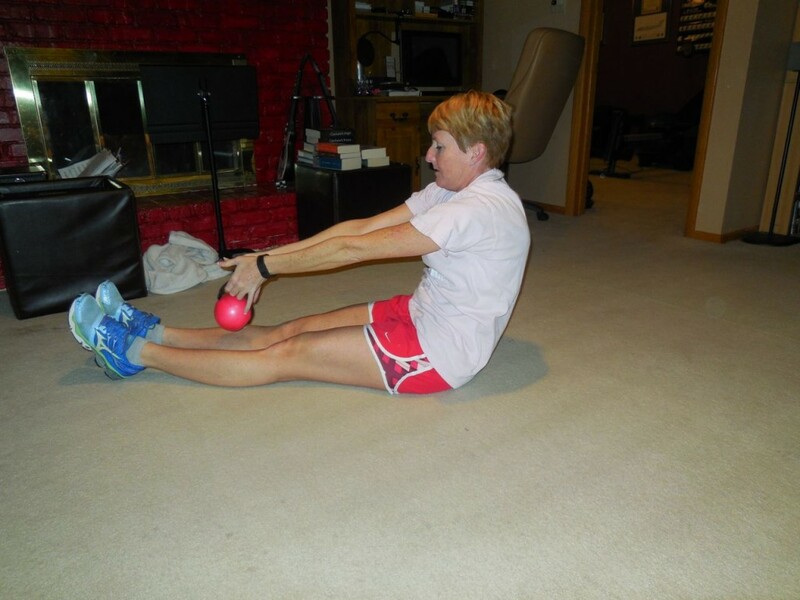 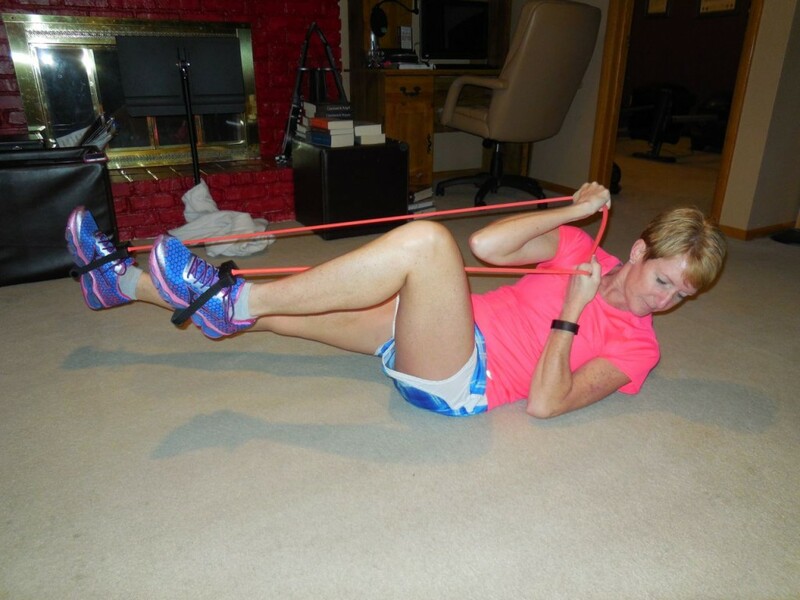 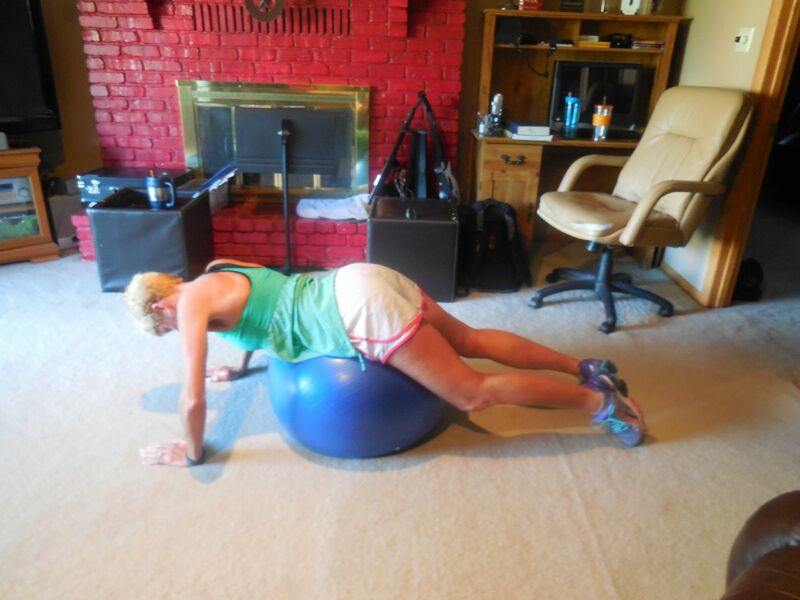 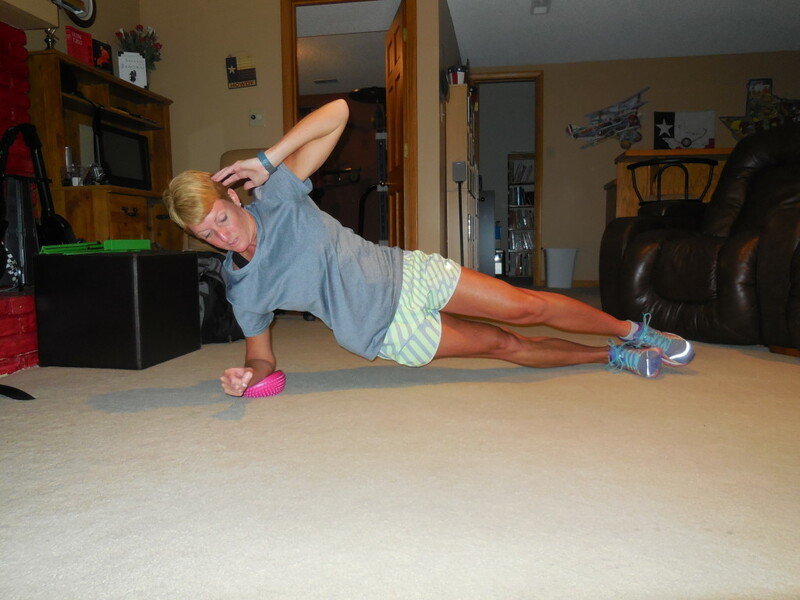 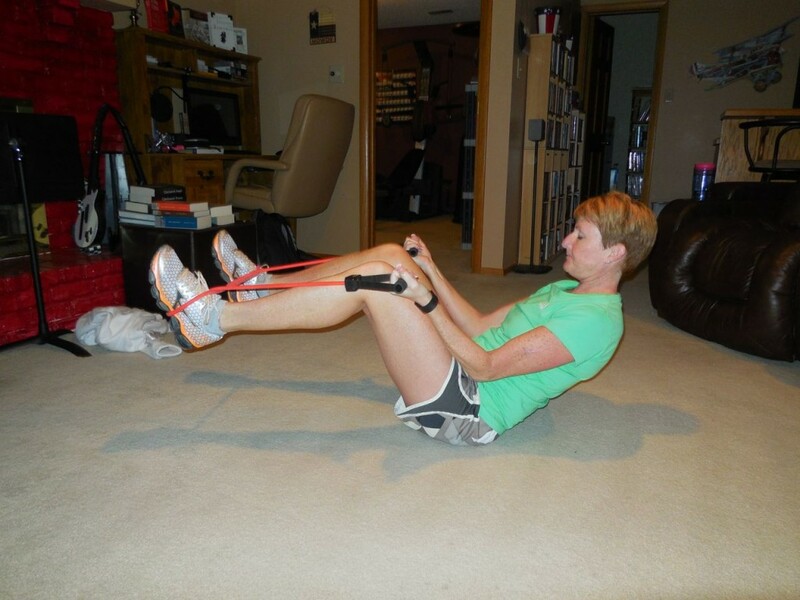 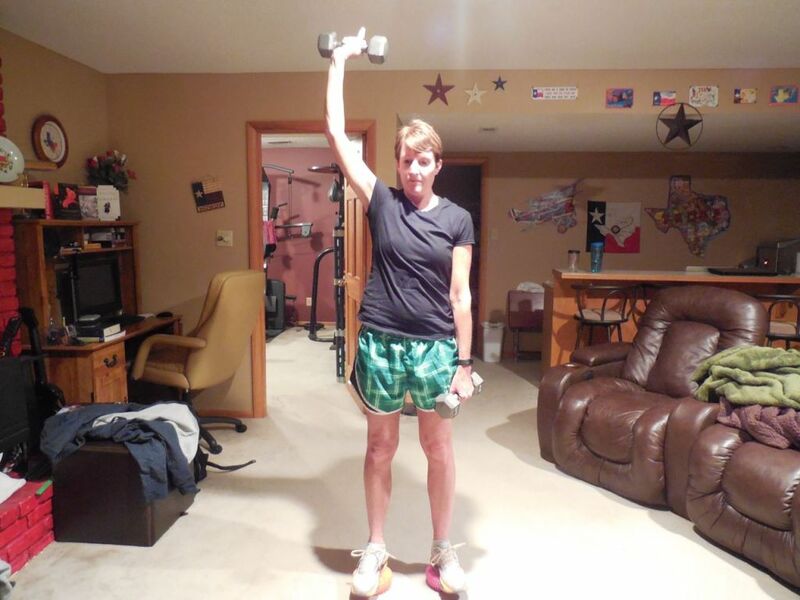 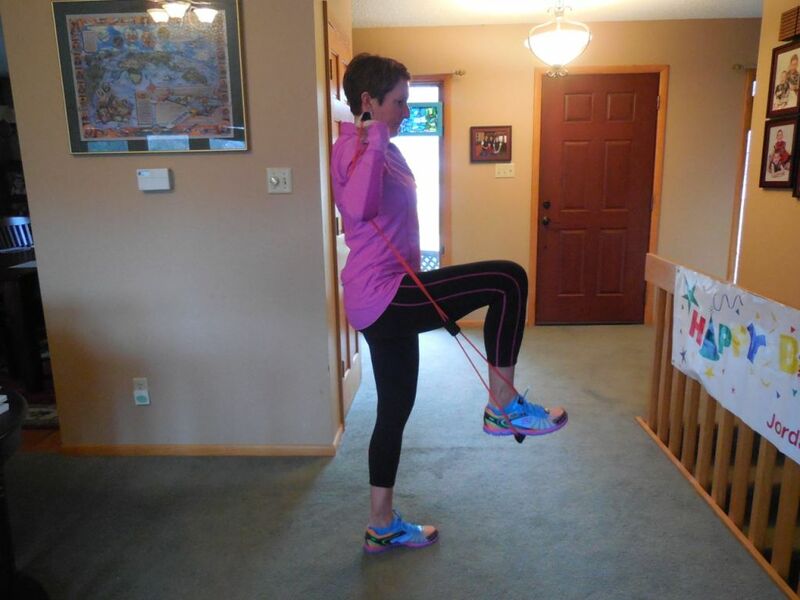 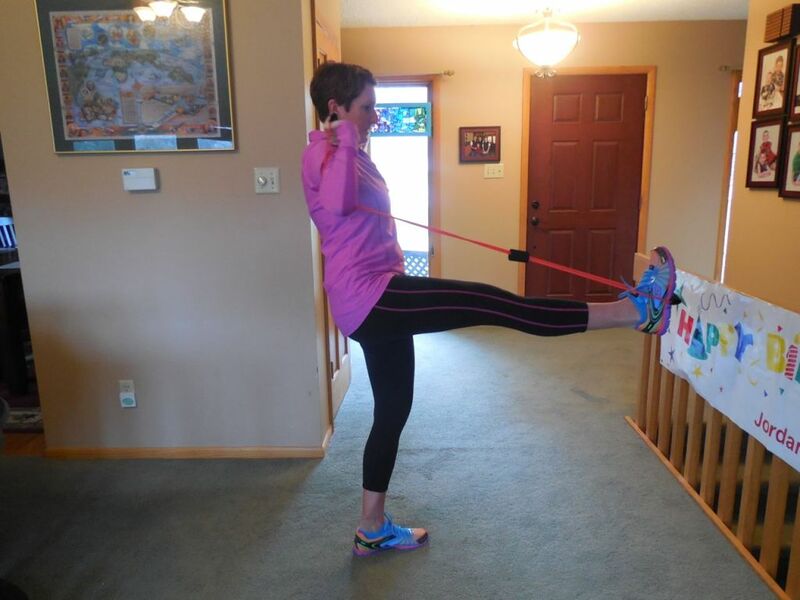 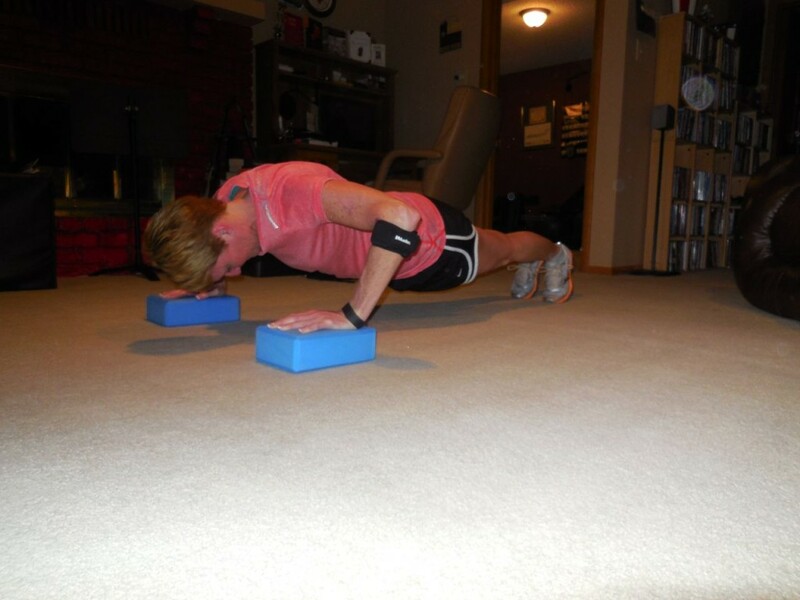 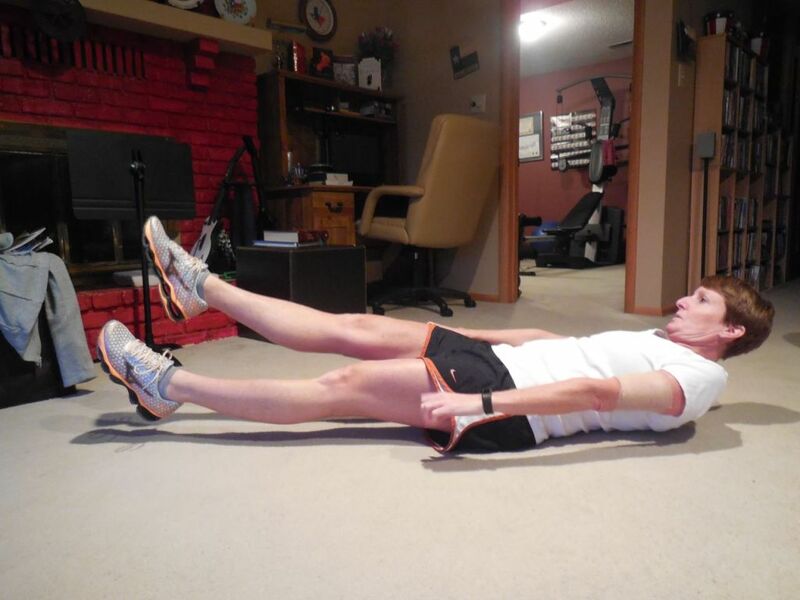 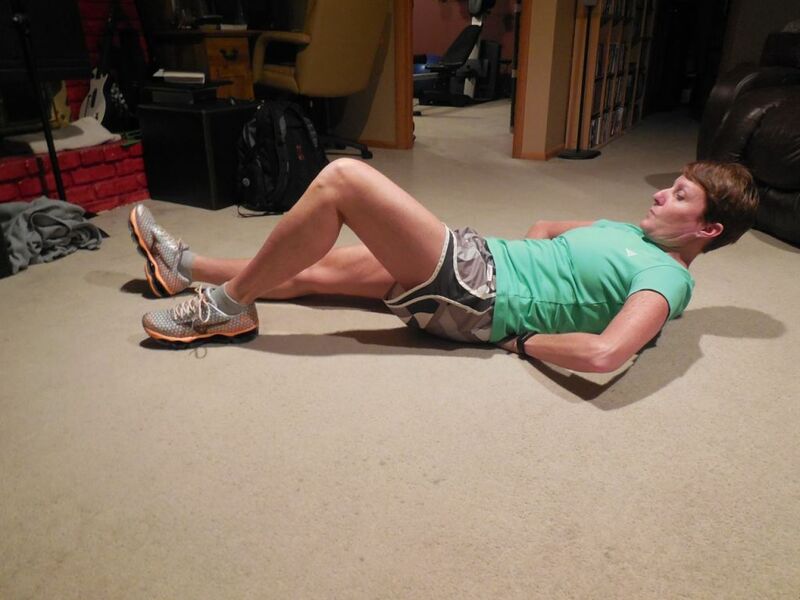 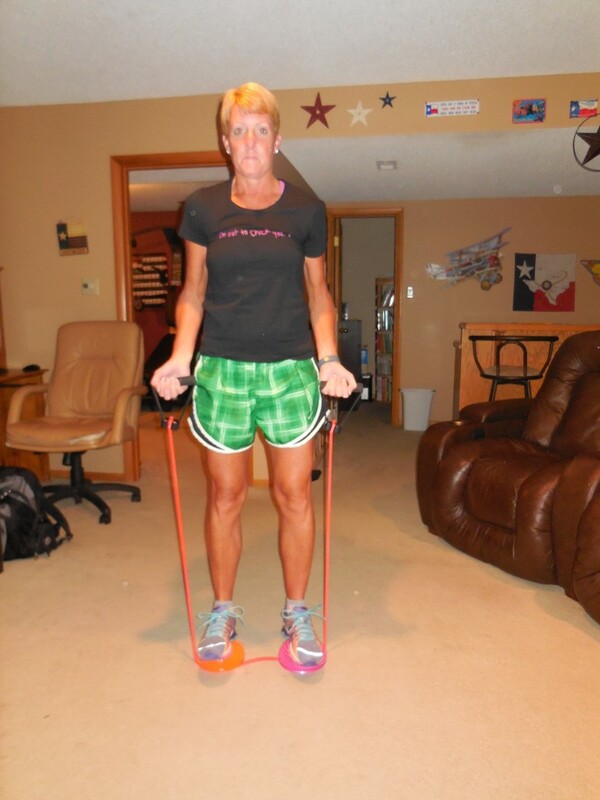 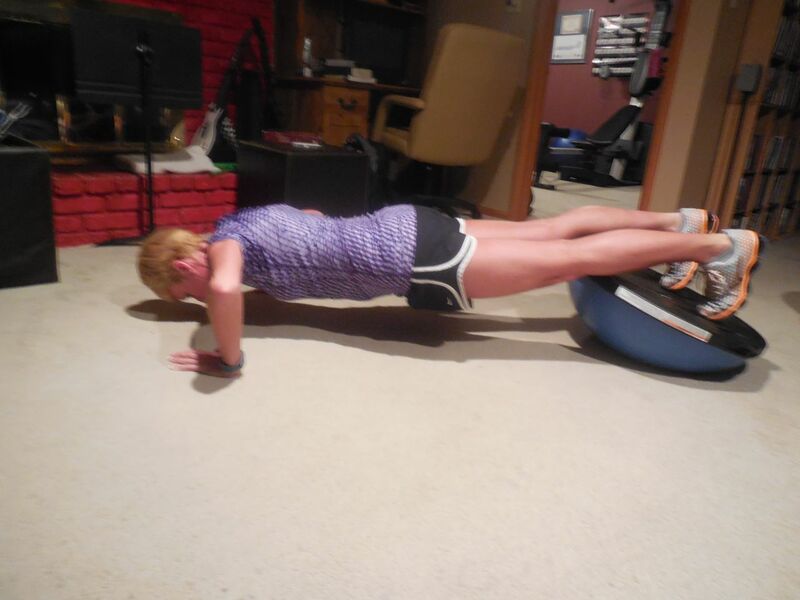 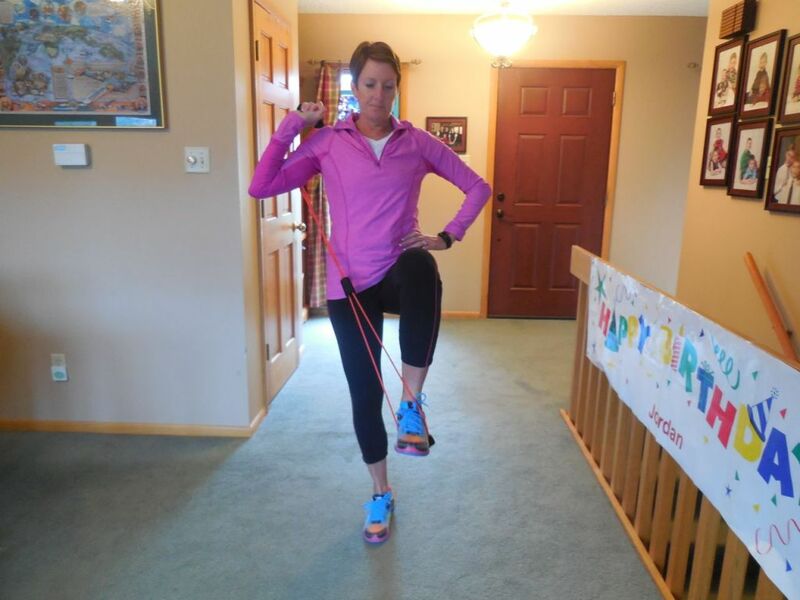 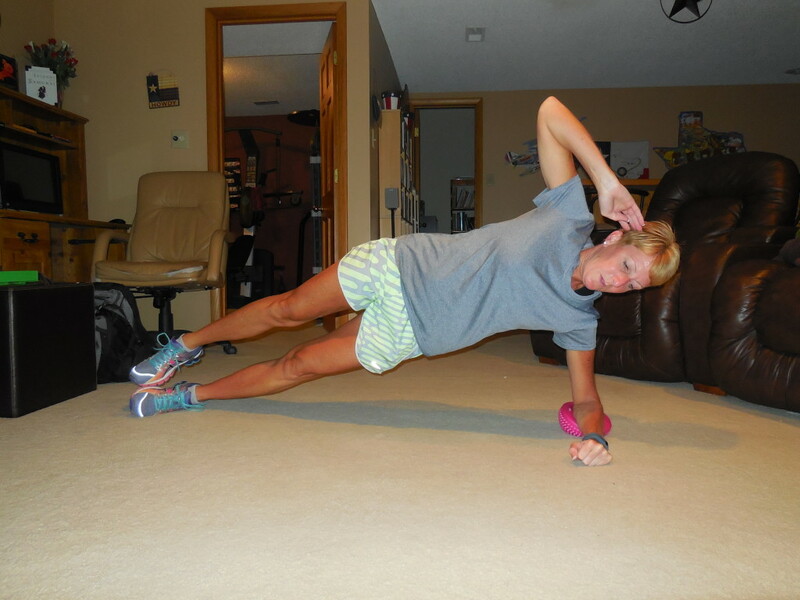 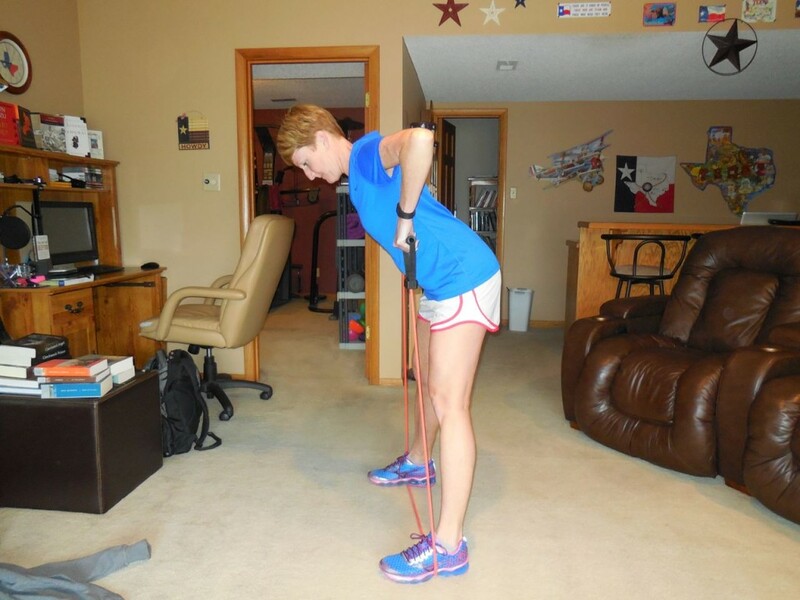 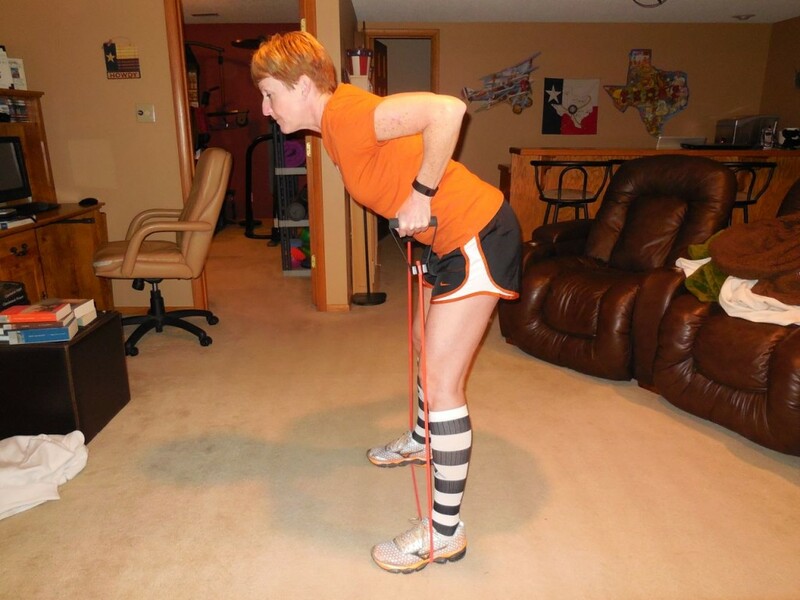 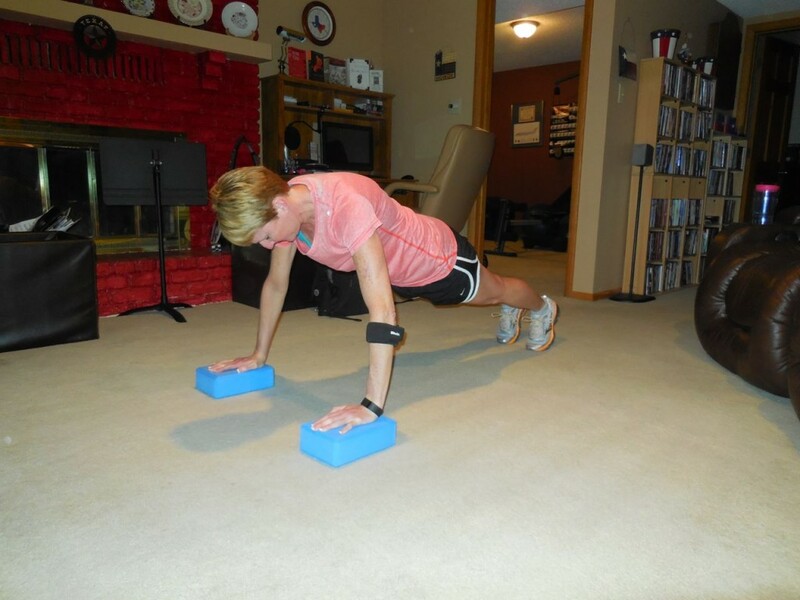 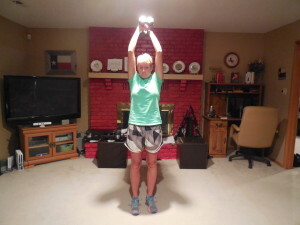 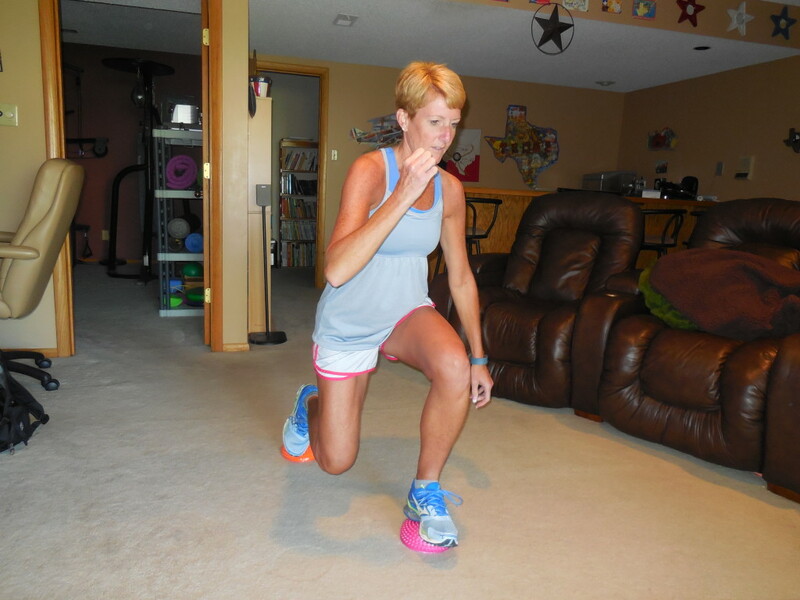 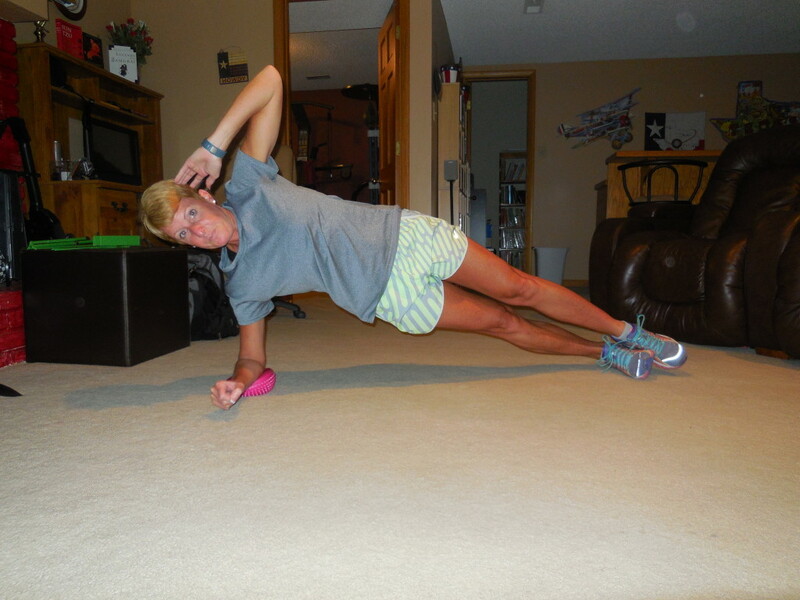 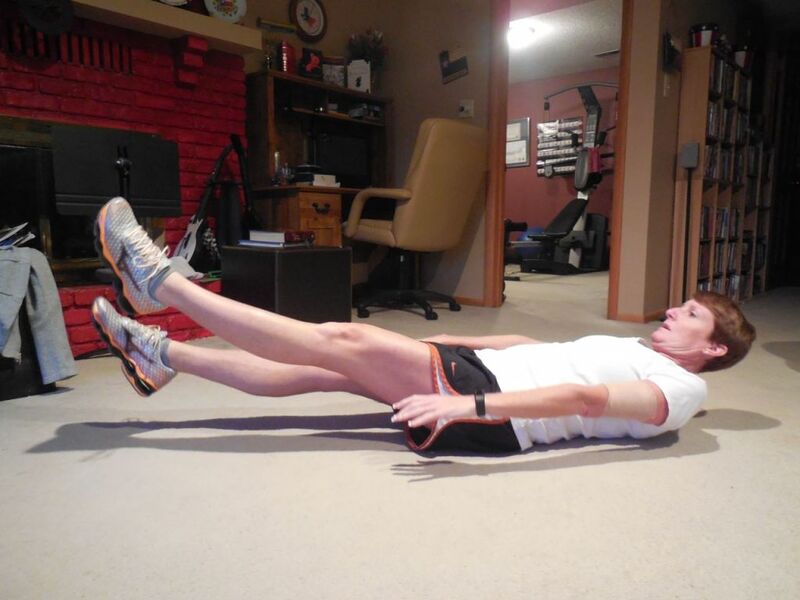 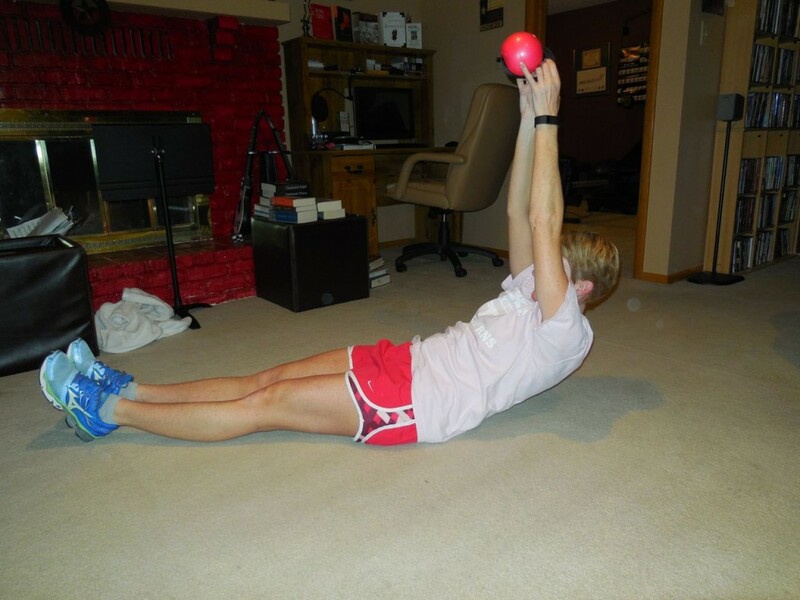 I liked this move – I love the little crunch in my obliques while doing side bends and the fact that I had the extra balance challenge was a bonus!! 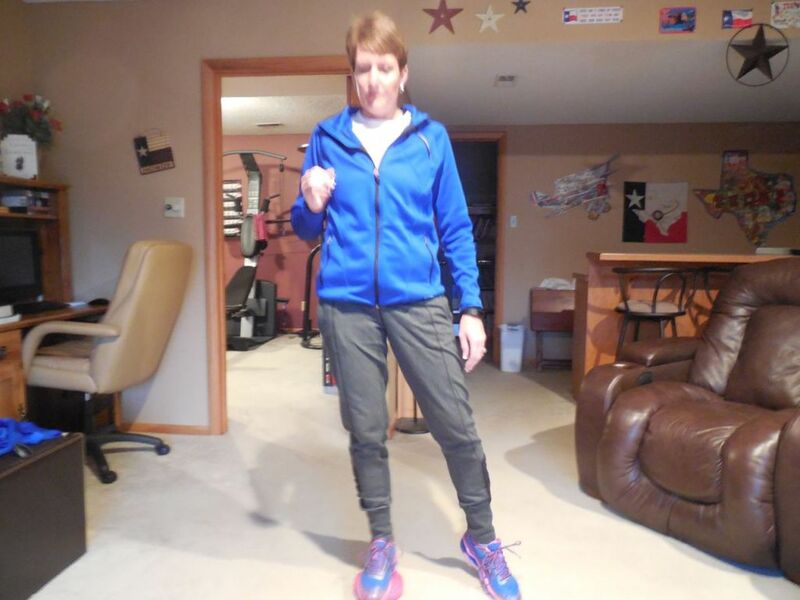 Run 10 miles – 77:12 followed 1.05 miles nice and easy!! 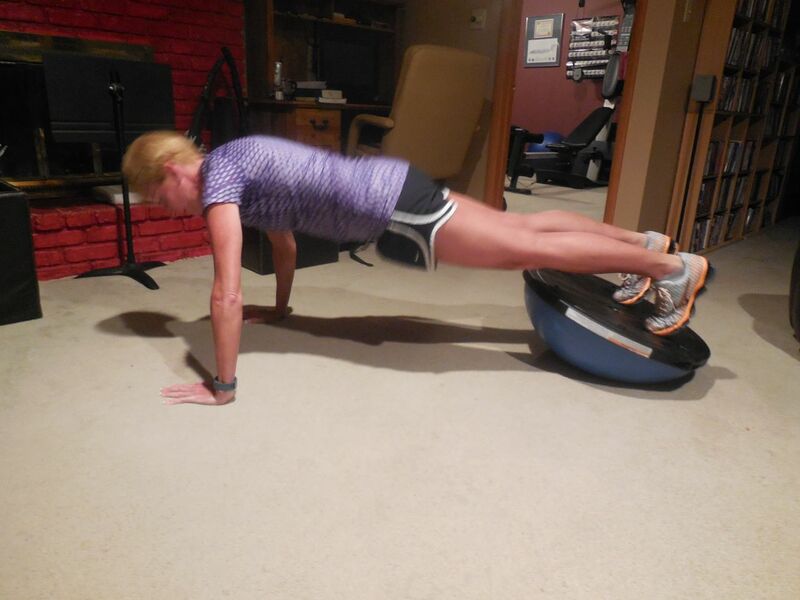 Thursday 8/28 – 44 push-ups with toes on upside down BOSU. 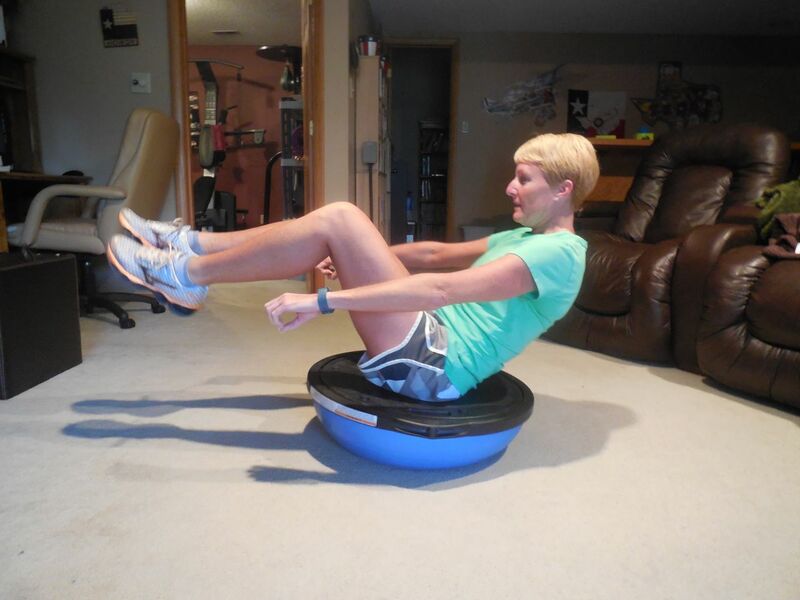 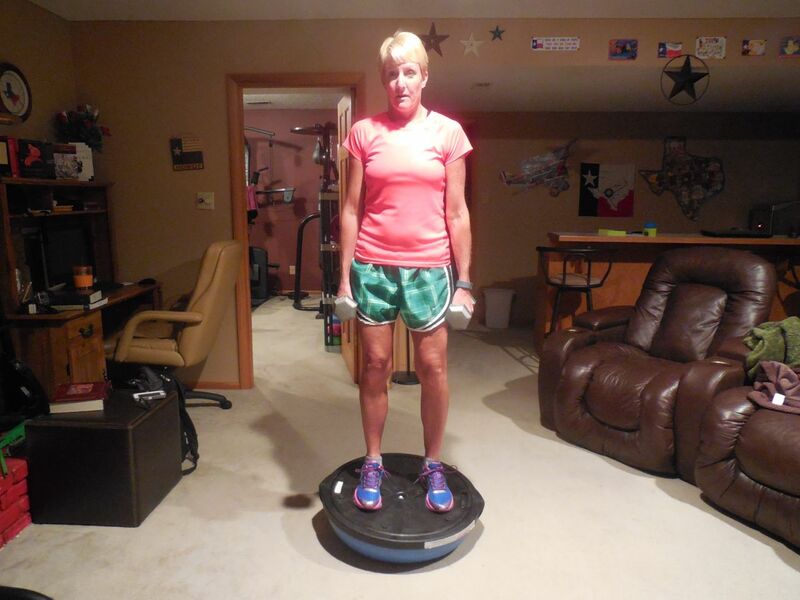 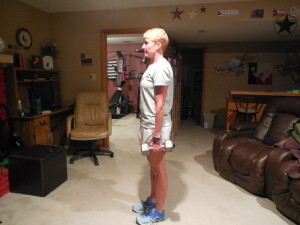 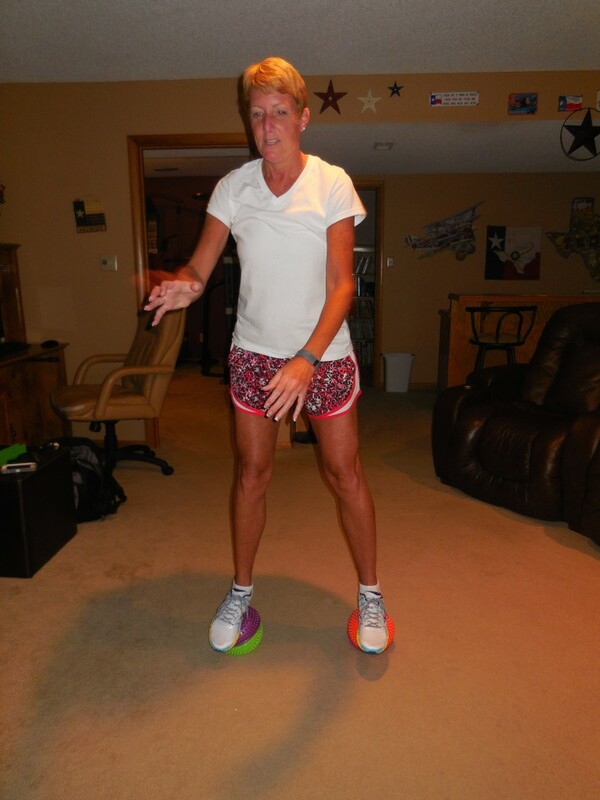 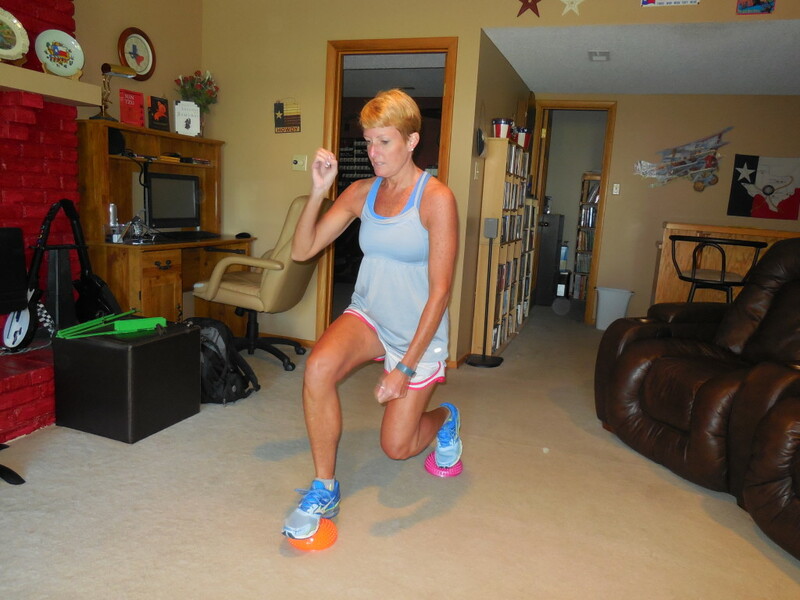 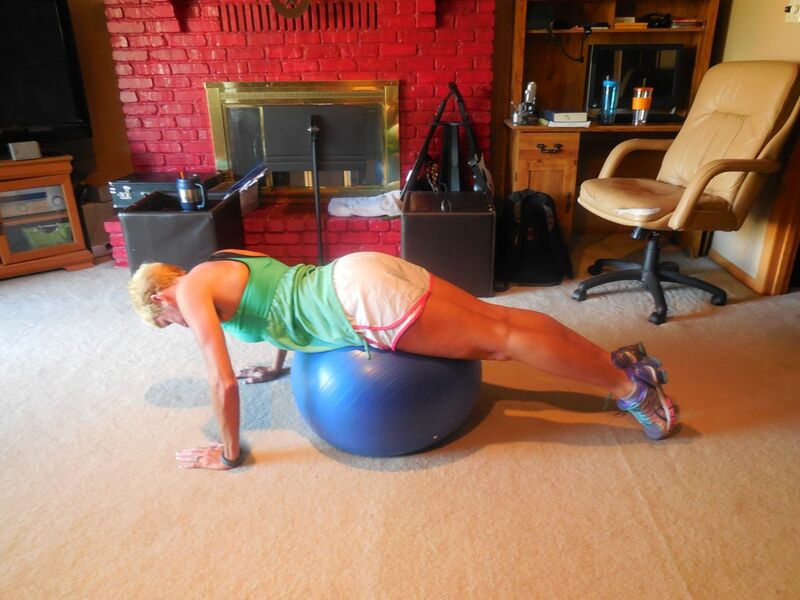 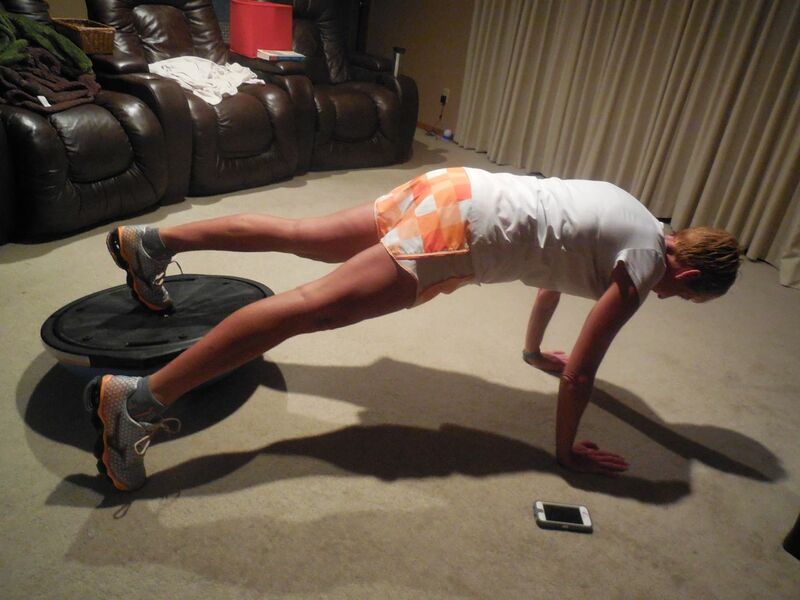 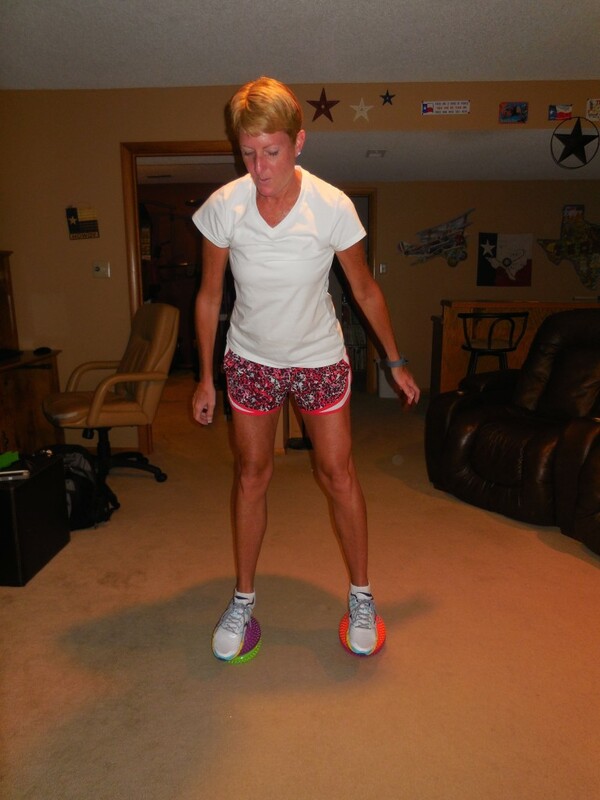 You can see how hard it is to stay balanced on the BOSU – it tips back a lot!! 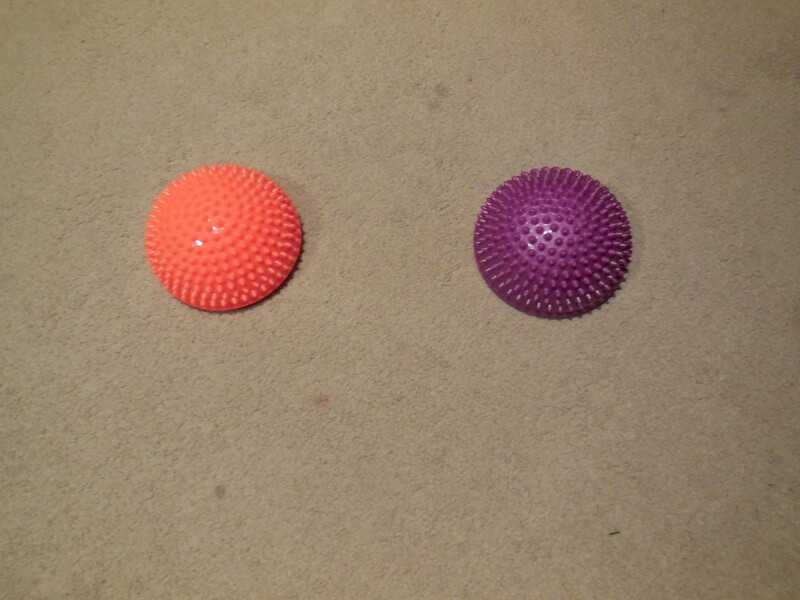 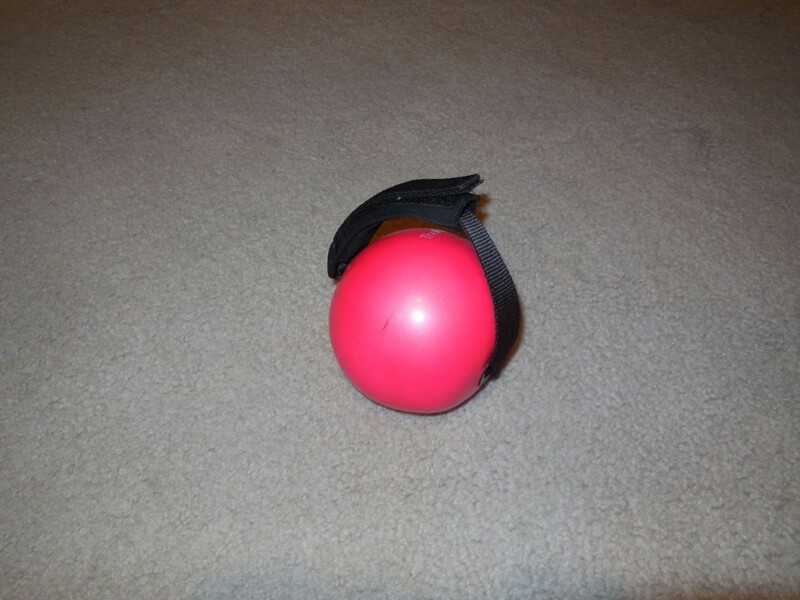 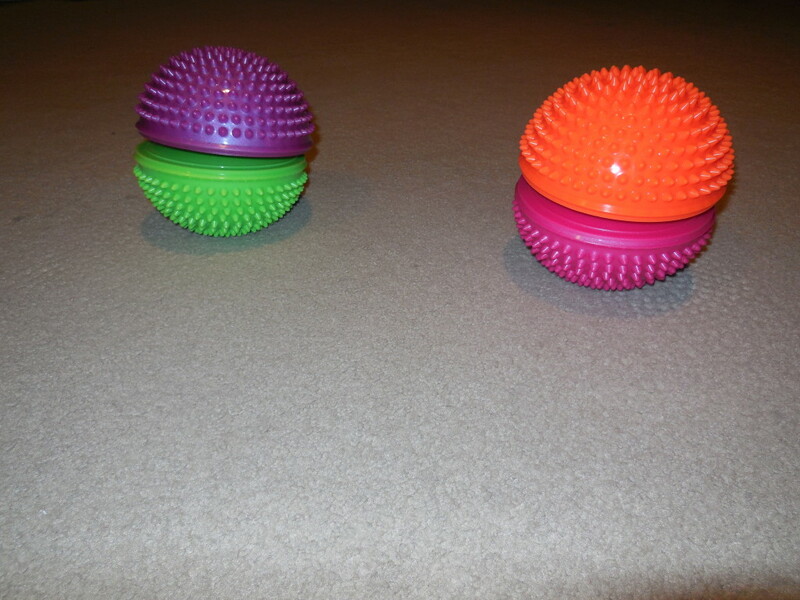 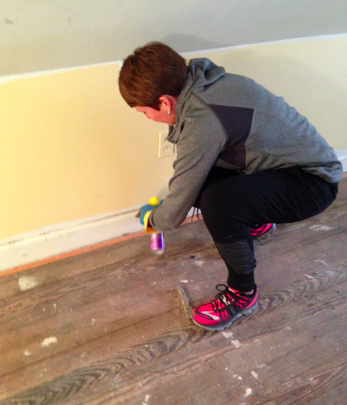 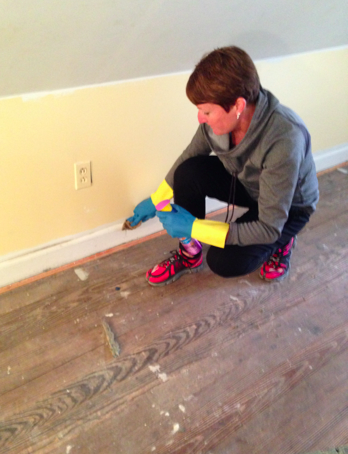 Not gonna lie – these were hard!!! 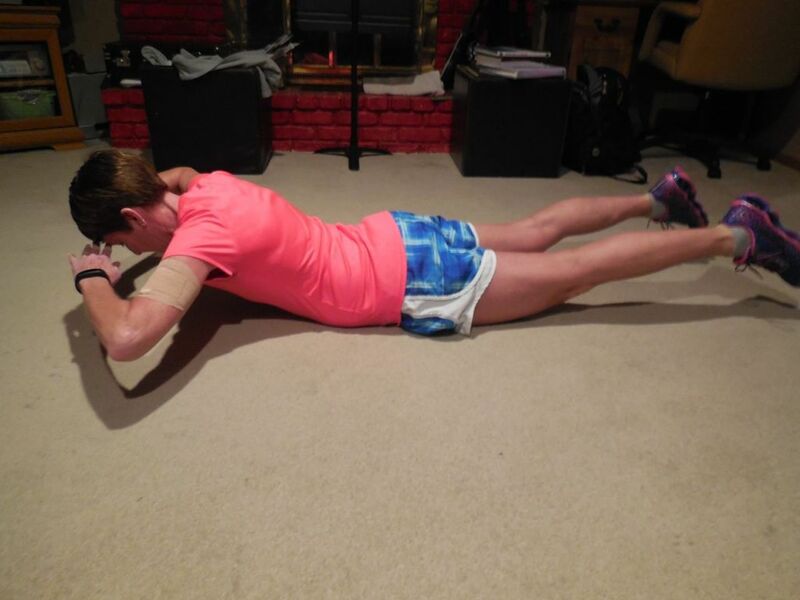 I don’t think I’ve been doing enough push-ups lately!!! 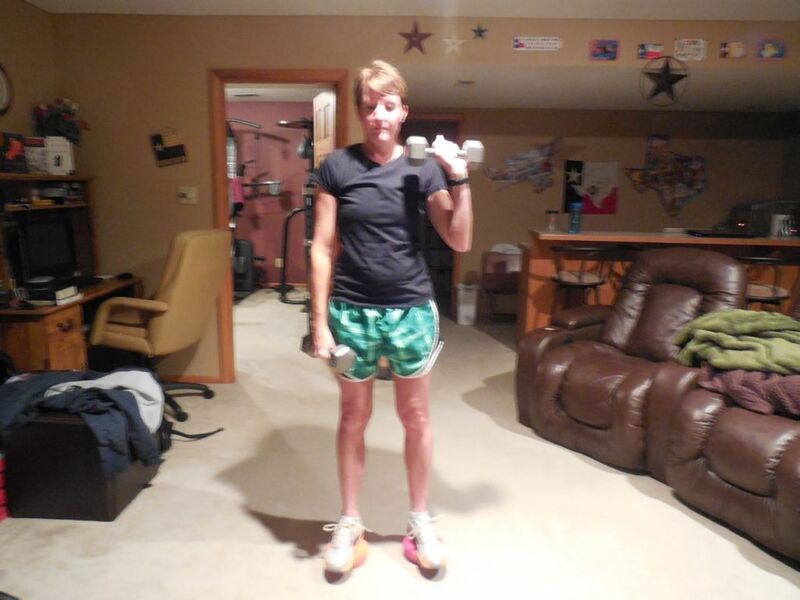 Run – 8 miles in 57:45 + 0.5 miles (I was pressed for time so I thought I would do a harder run since I’ve been logging lots of slower miles). 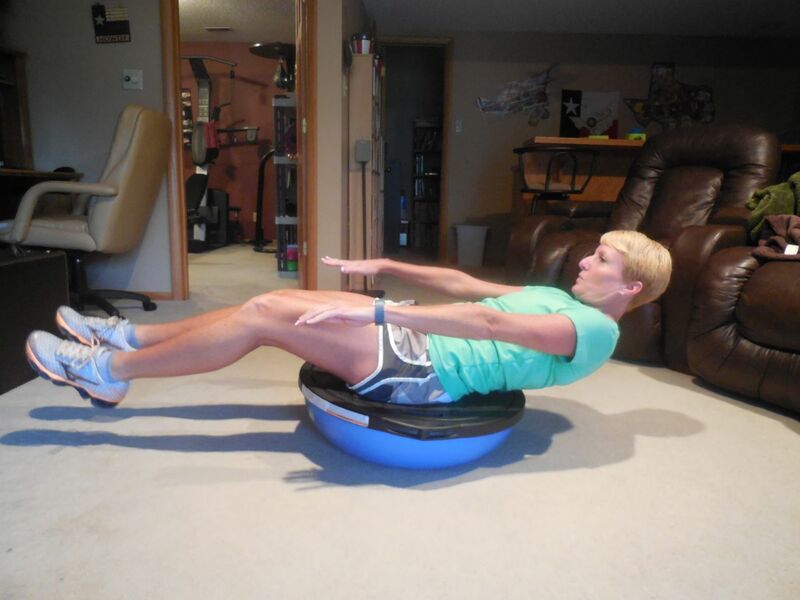 Friday 8/29 – 44 body extended to V-sit on upside down BOSU. 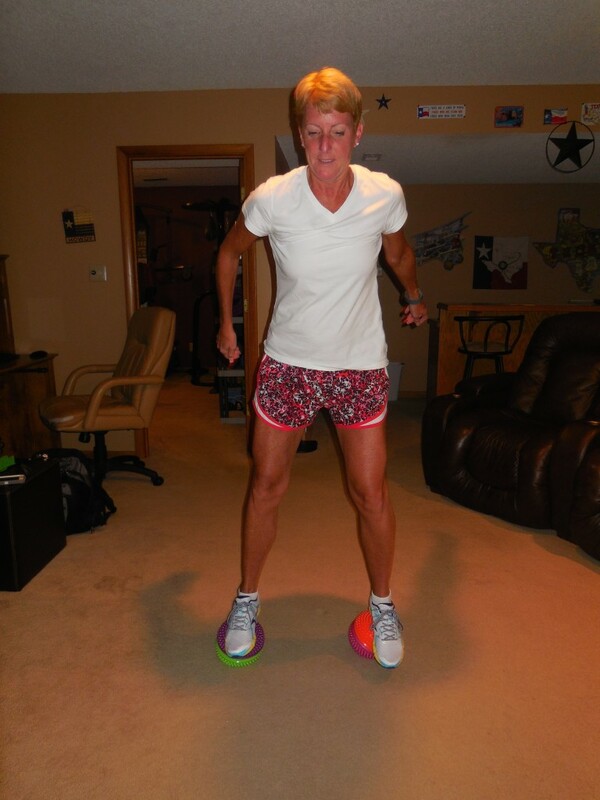 I wobbled a lot on these!! 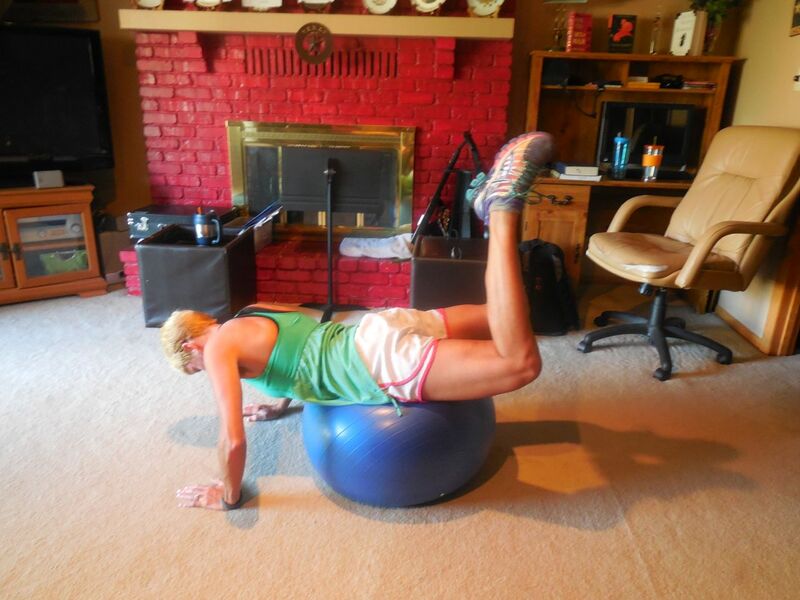 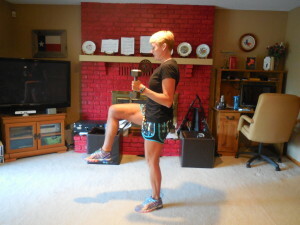 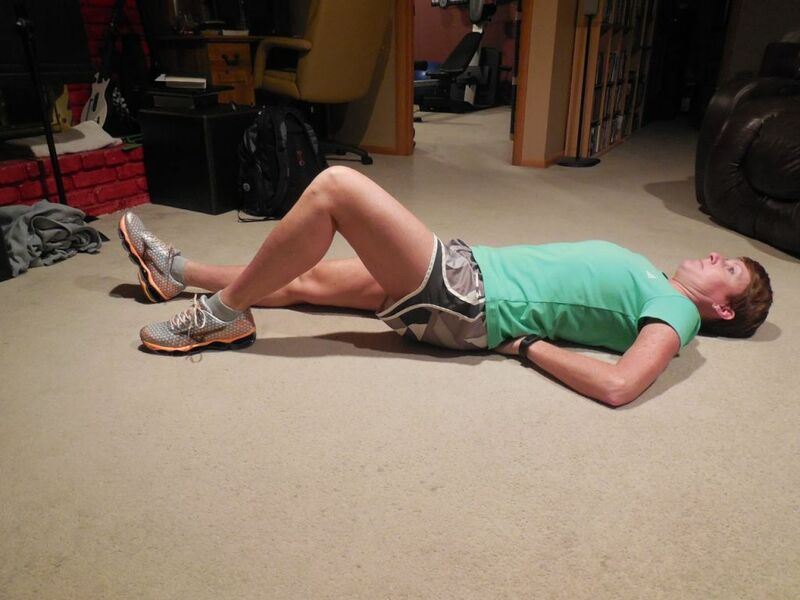 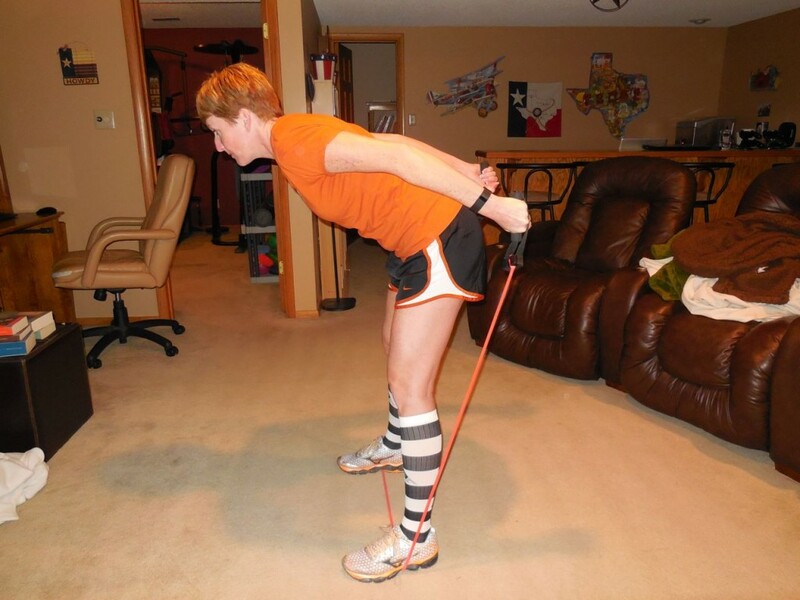 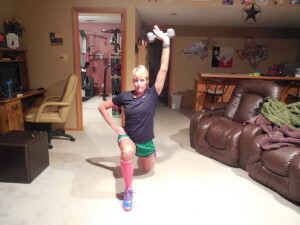 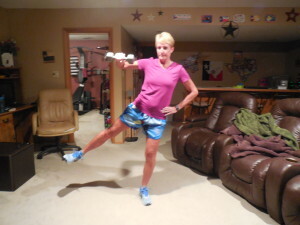 And, this was one of those moves that I felt in my core and also in my hip flexors!! 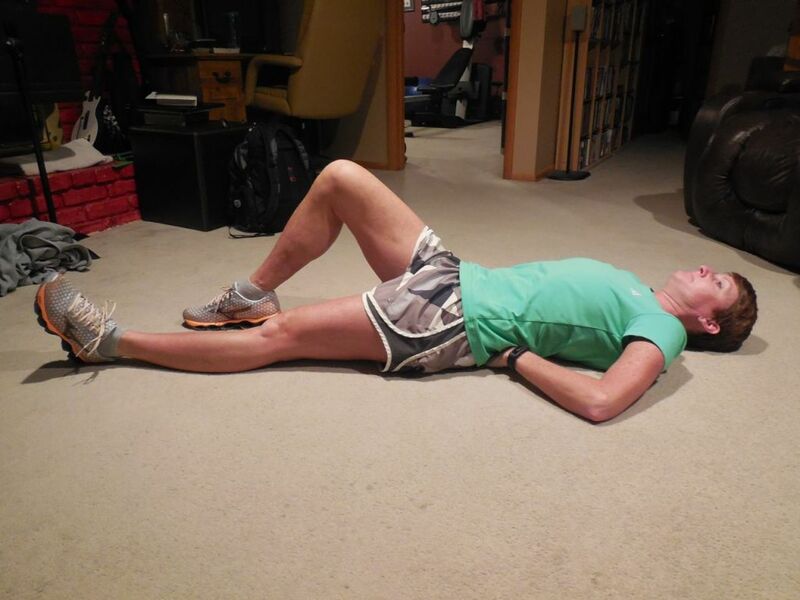 Run – 10 miles in 79:47 followed by 3 easy miles. 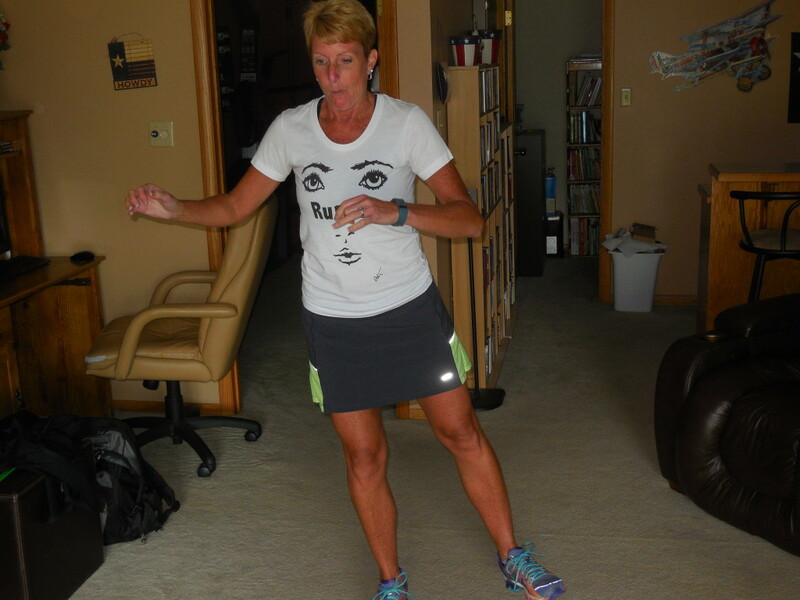 This was my final long run before my upcoming race. 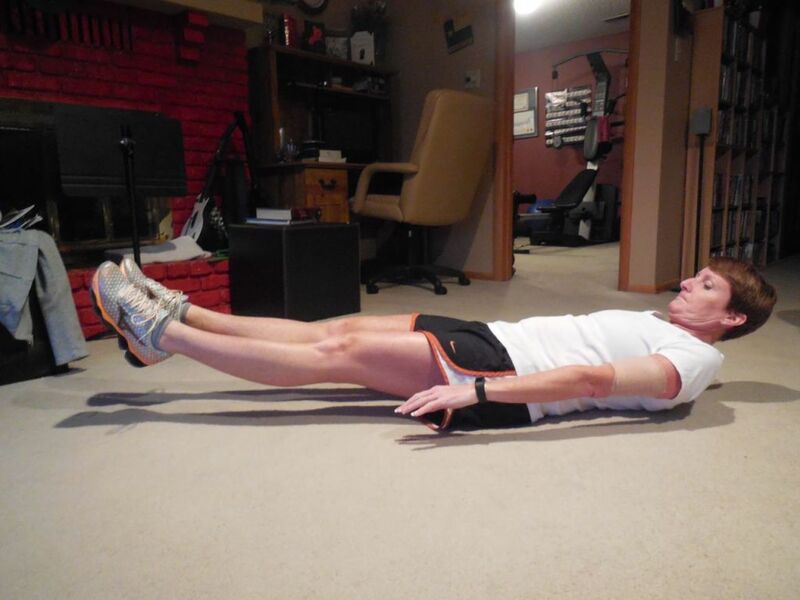 My goal this week was to run enough that my legs were fatigued but still able to turn-over pretty well. 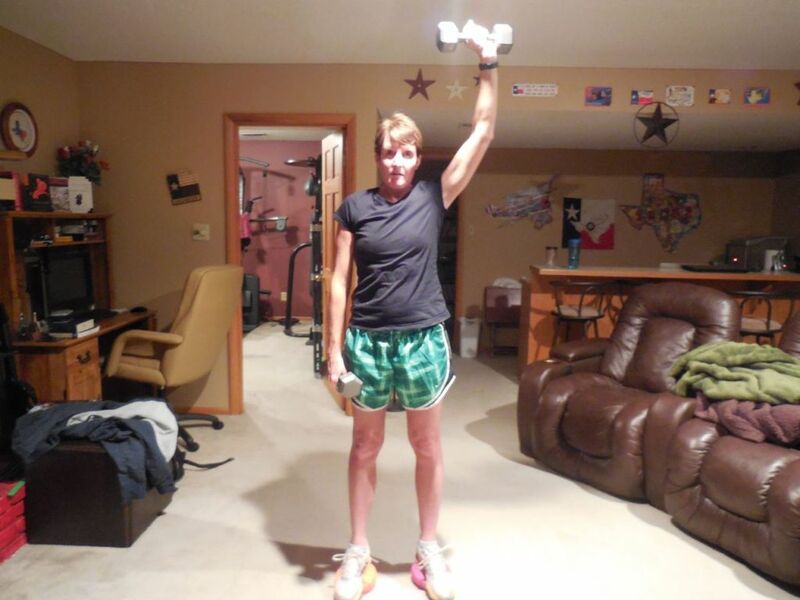 I’m happy with how the week went!! 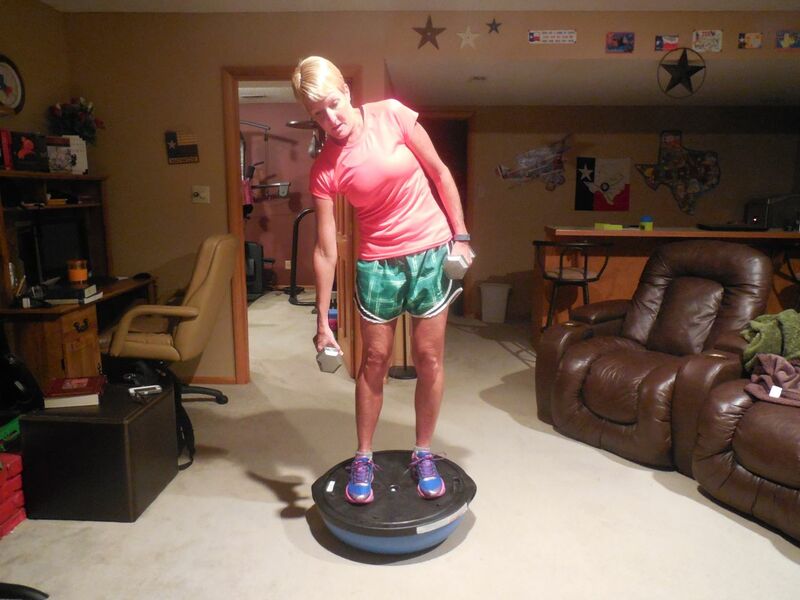 Saturday 8/30 – 44 calf stretches on upside down BOSU. 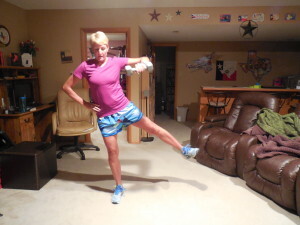 This move felt good after all of the running!! 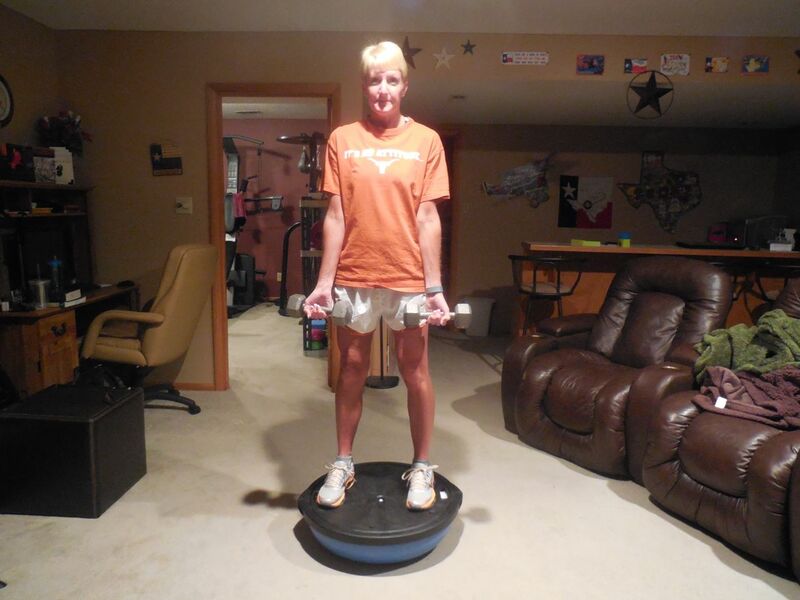 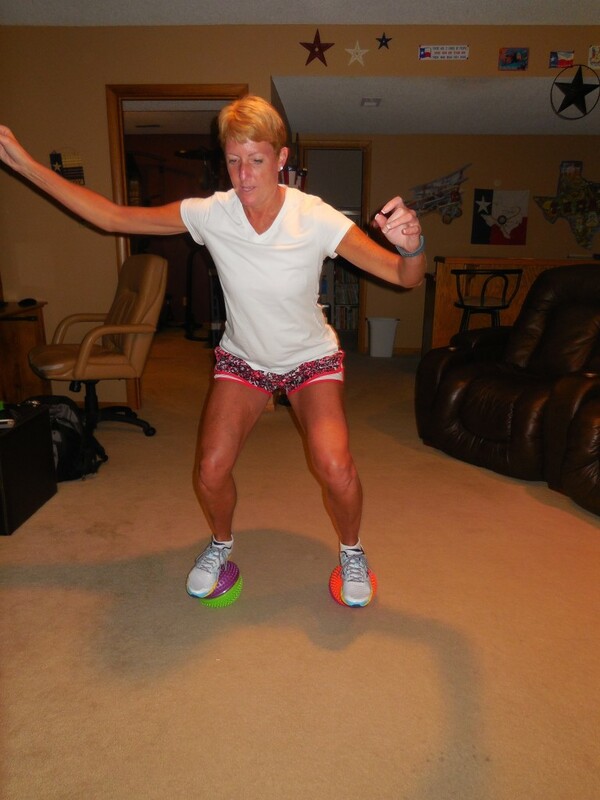 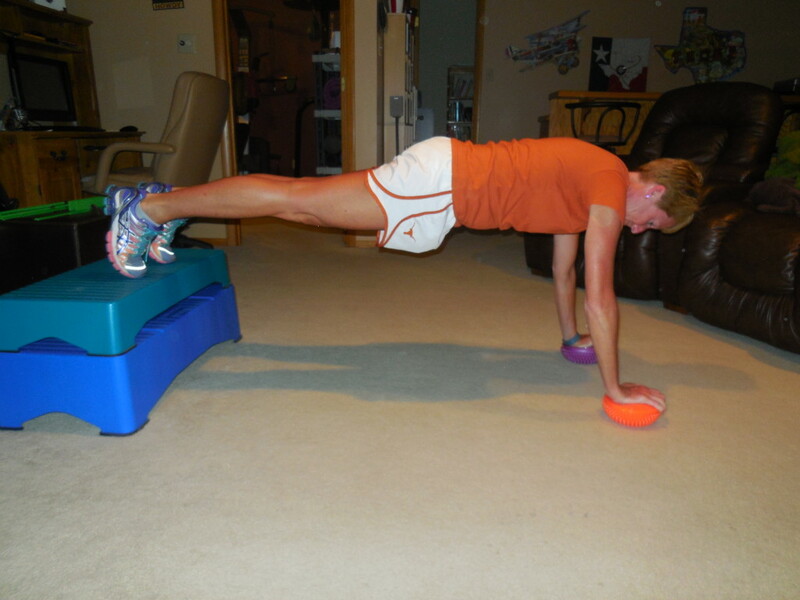 I had fun this week doing moves on my BOSU in a more nontraditional way!!! 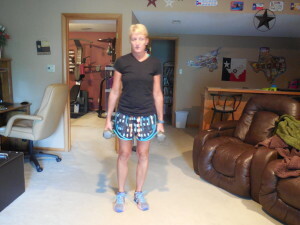 The next week and a half will still have plenty of daily 44s but the workouts will be fairly light and I’m not planning to do any long or hard runs.